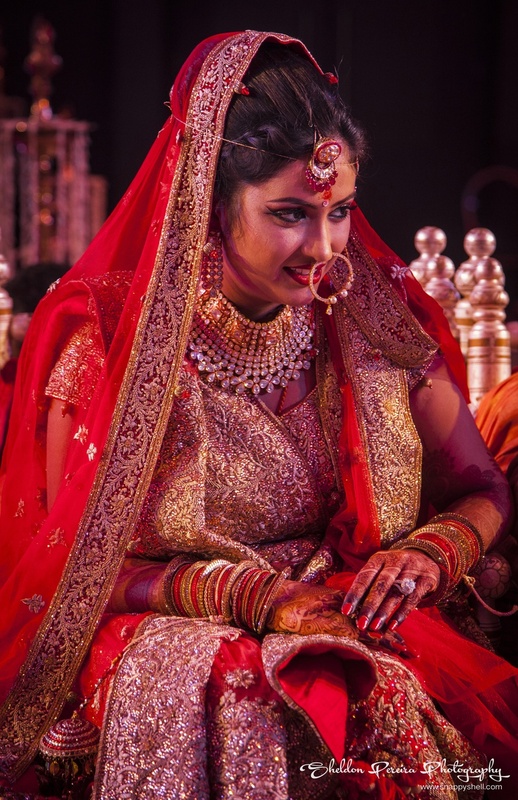 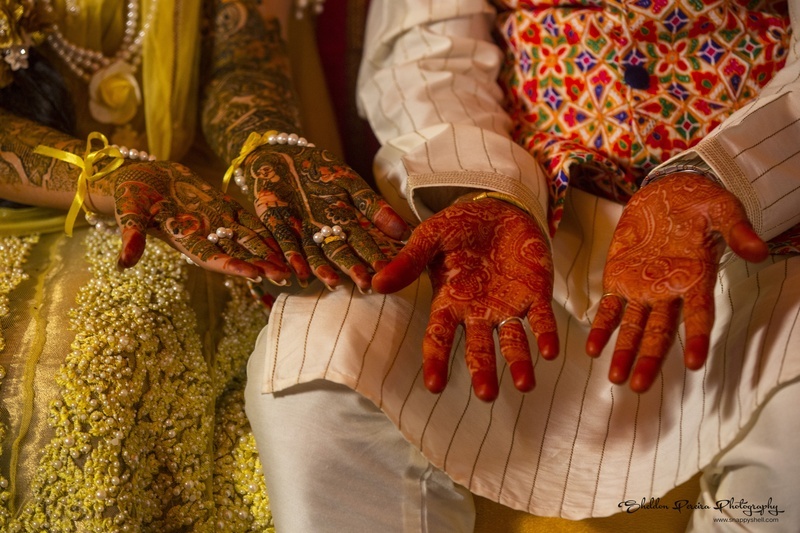 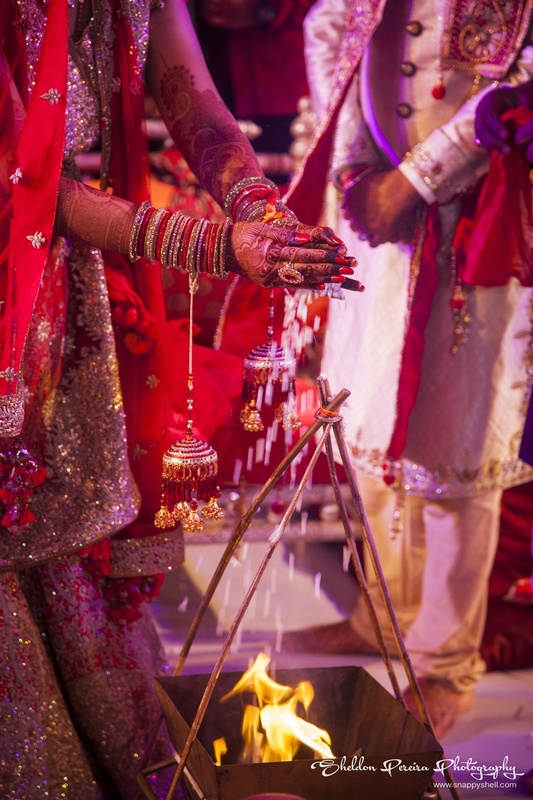 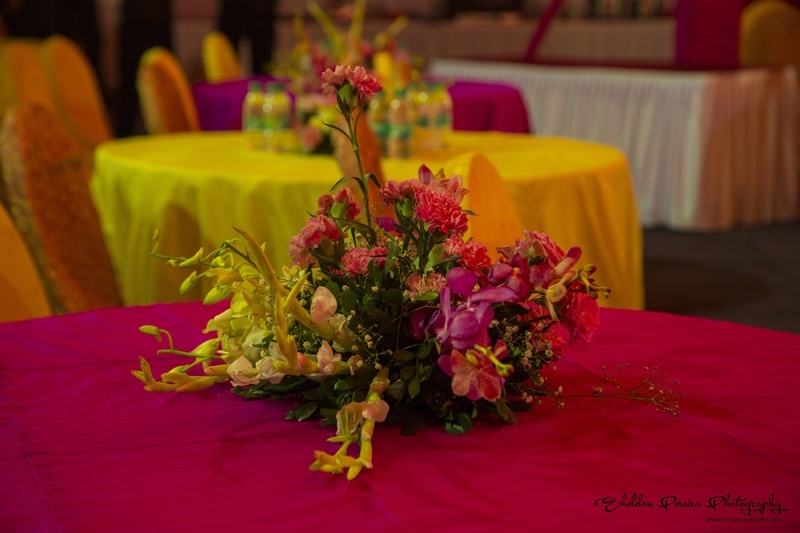 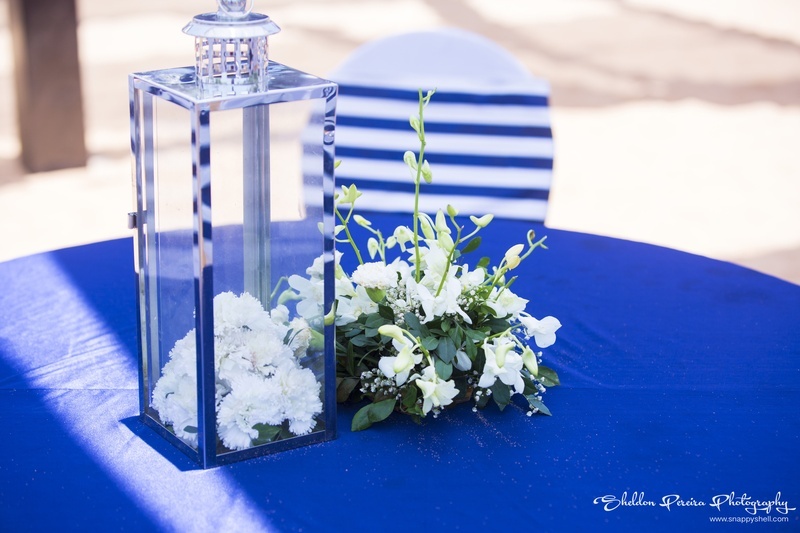 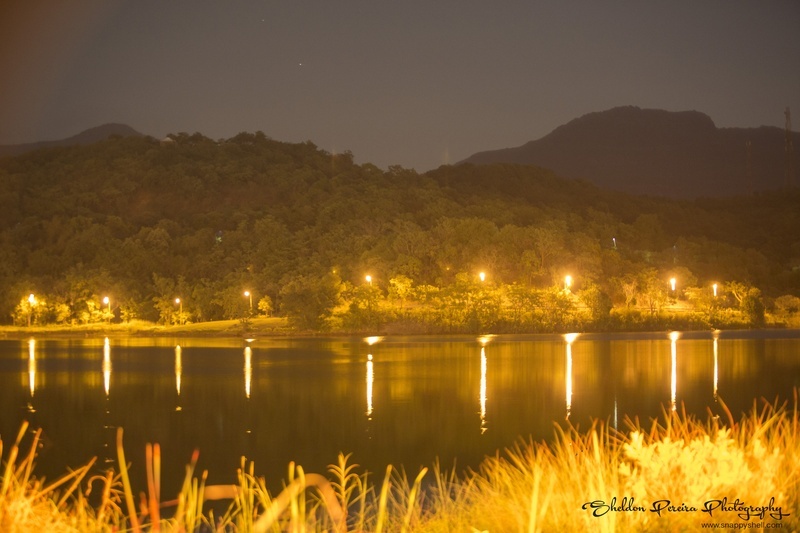 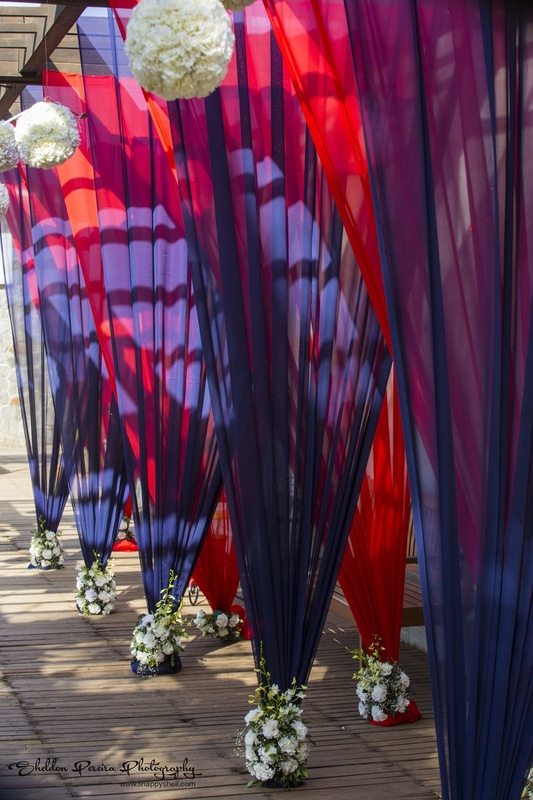 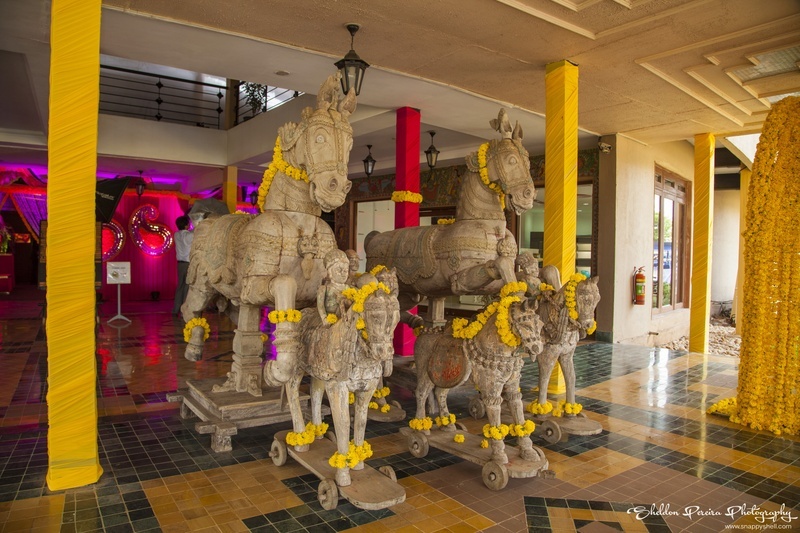 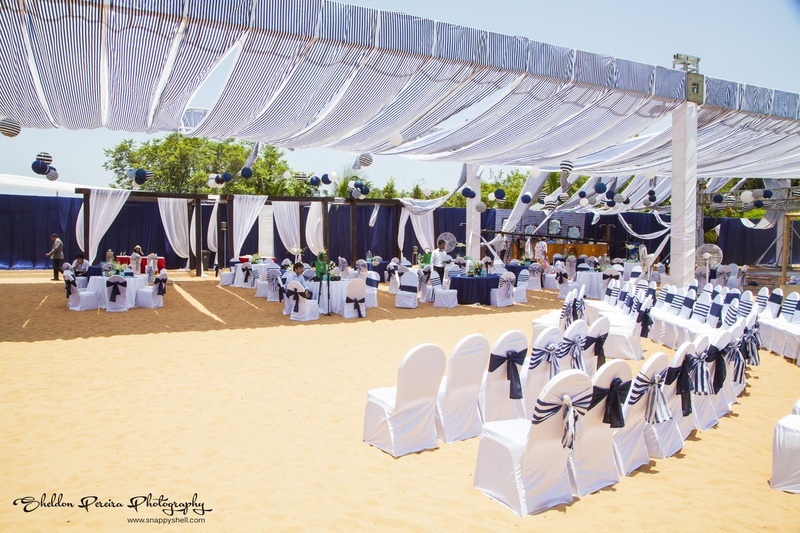 We all desire a distinguished, grand and a memorable venue for our nuptial celebrations. 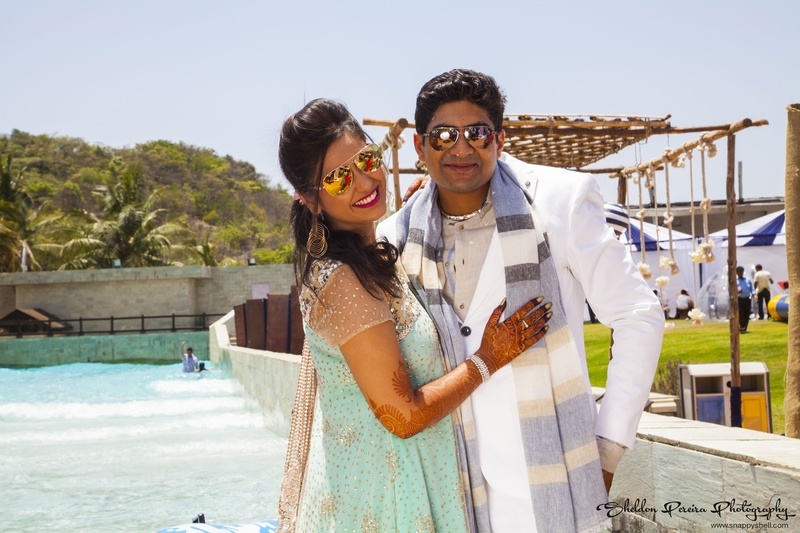 Karan and Komal’s wedding majestic marriage celebration took place at the outskirts of the city at Aamby valley, Pune- An awesome destination for a big fat Indian wedding! 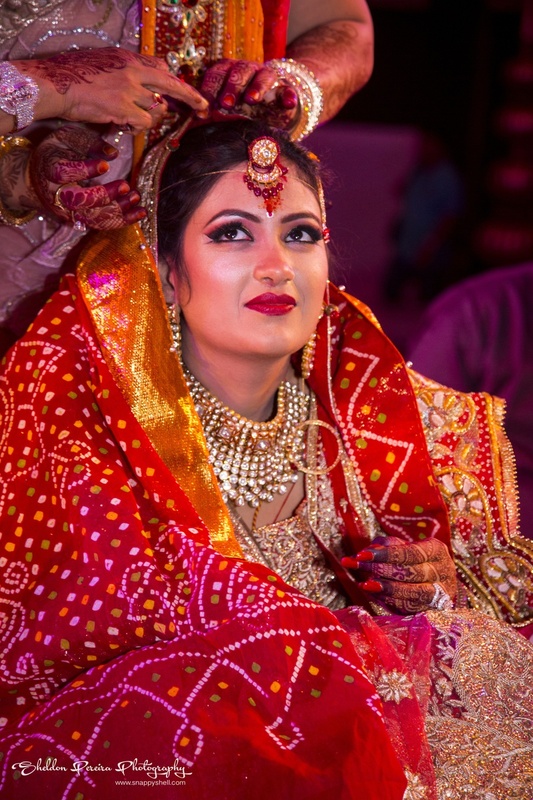 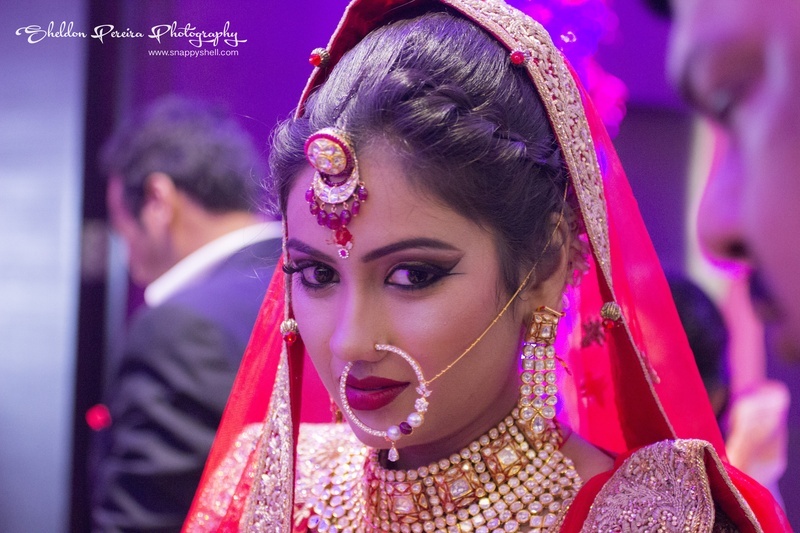 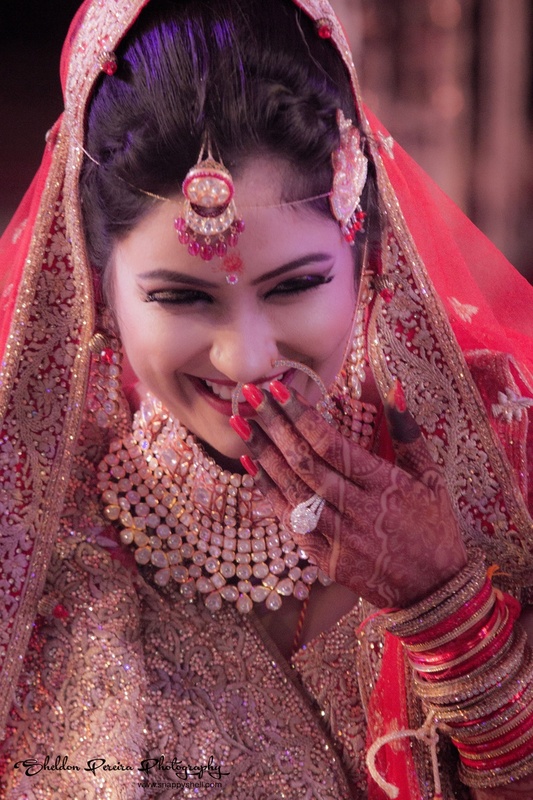 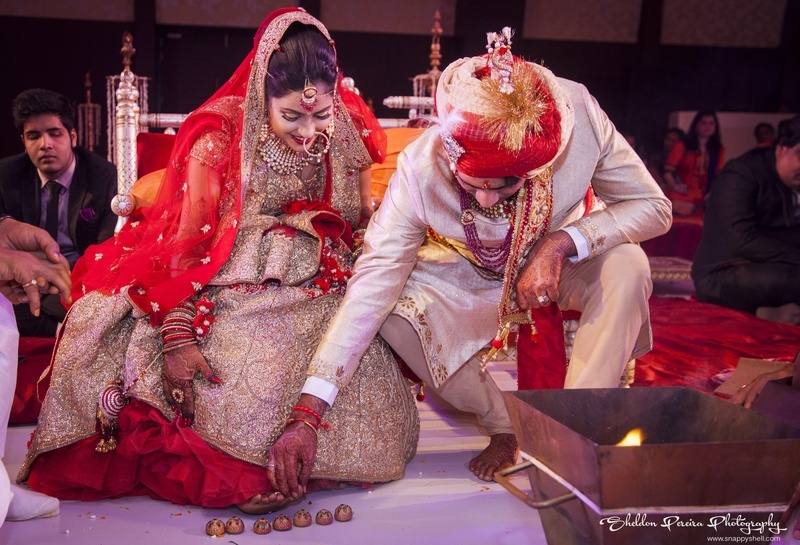 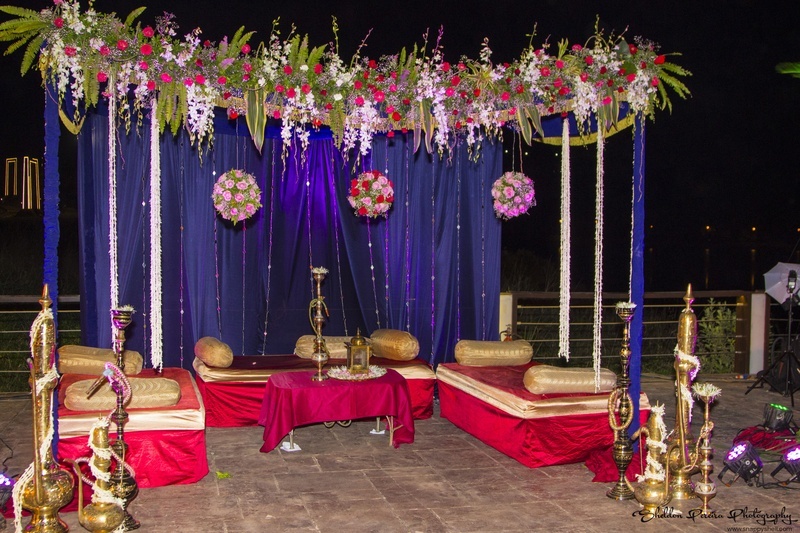 Entire wedding celebrations had an unbeatable variety in venue selection with gorgeous decor, classy ceremonies and pristine rituals. 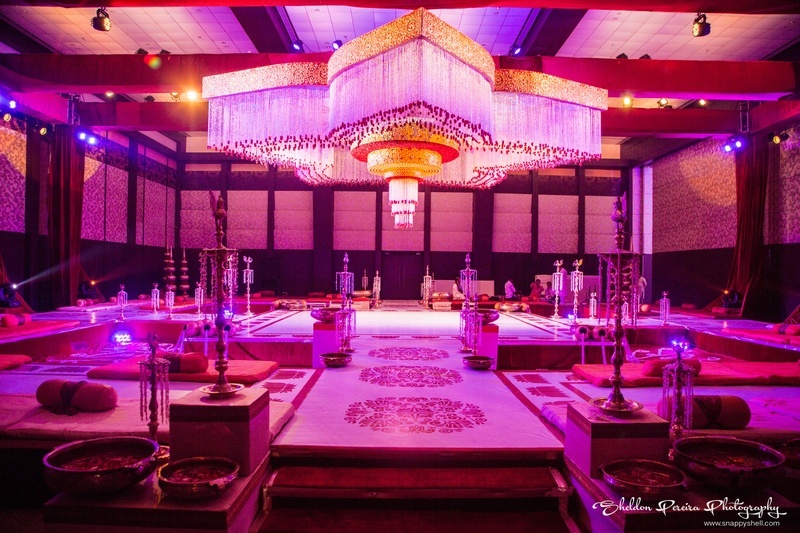 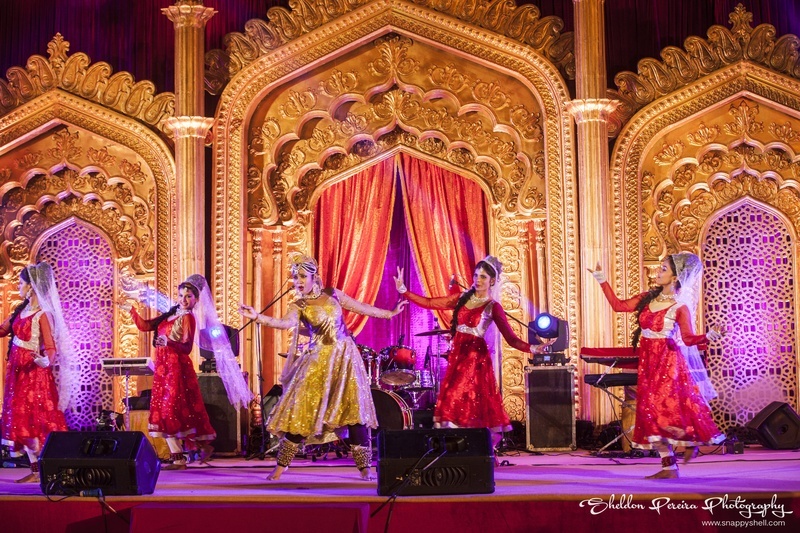 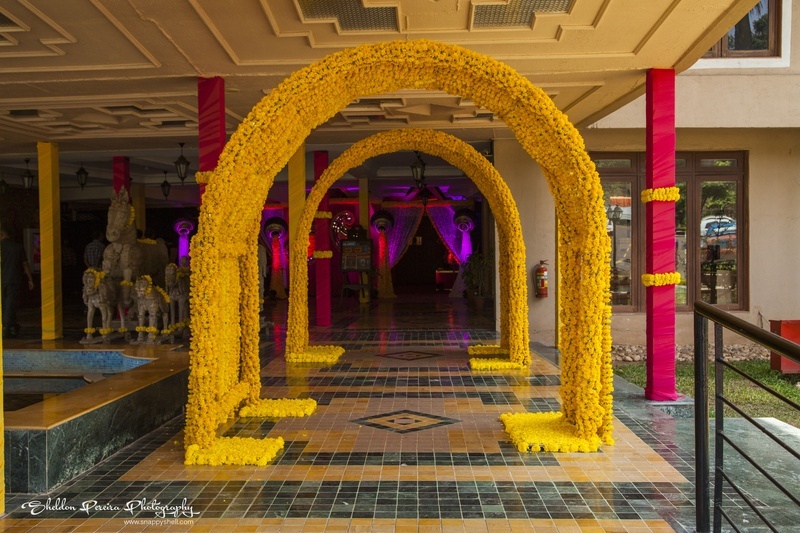 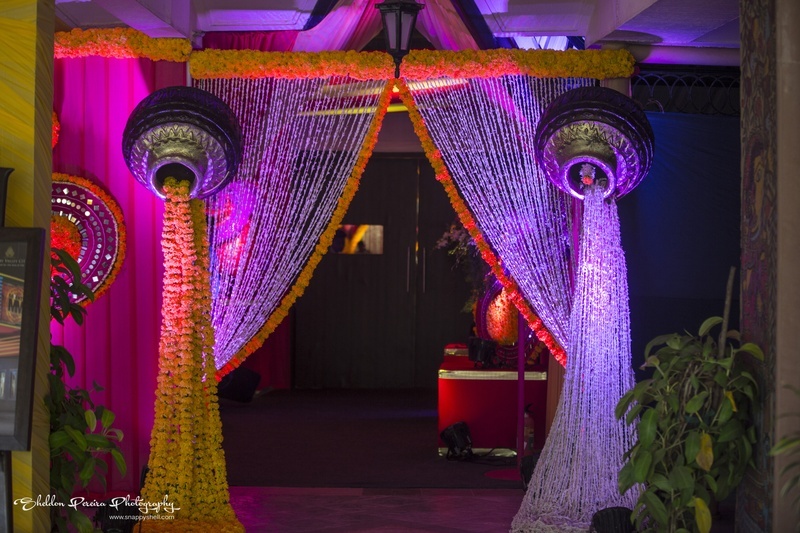 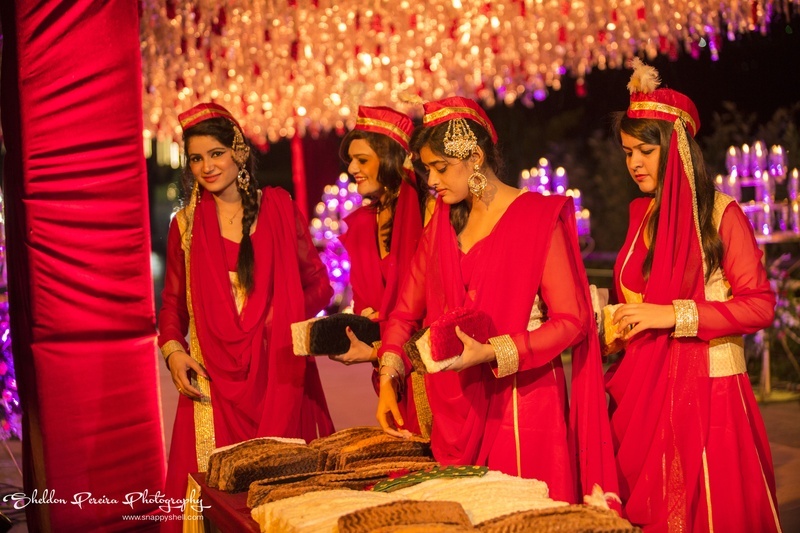 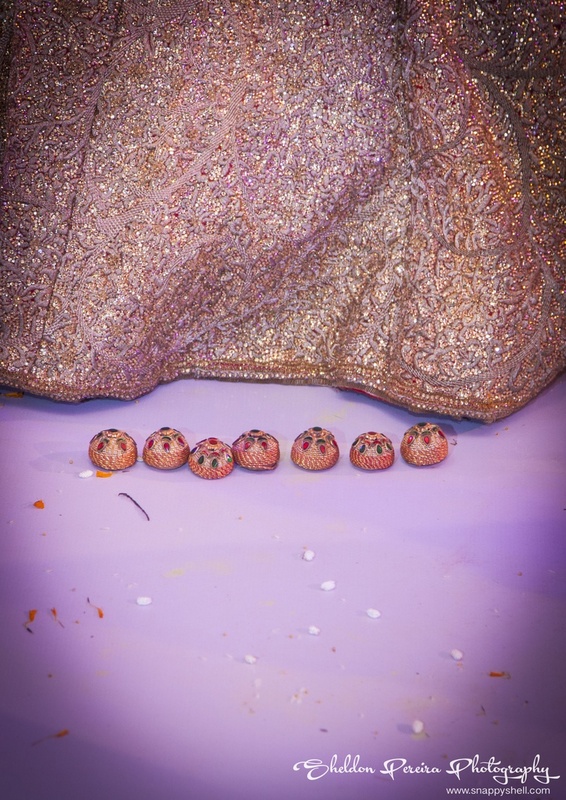 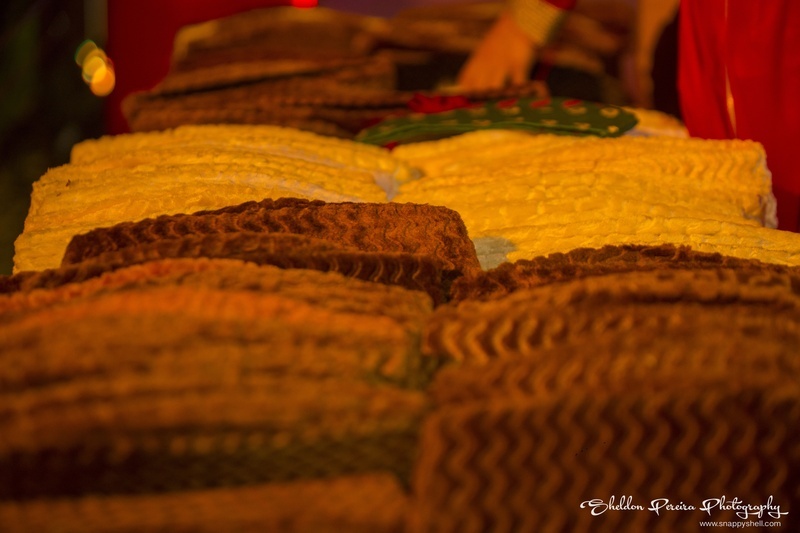 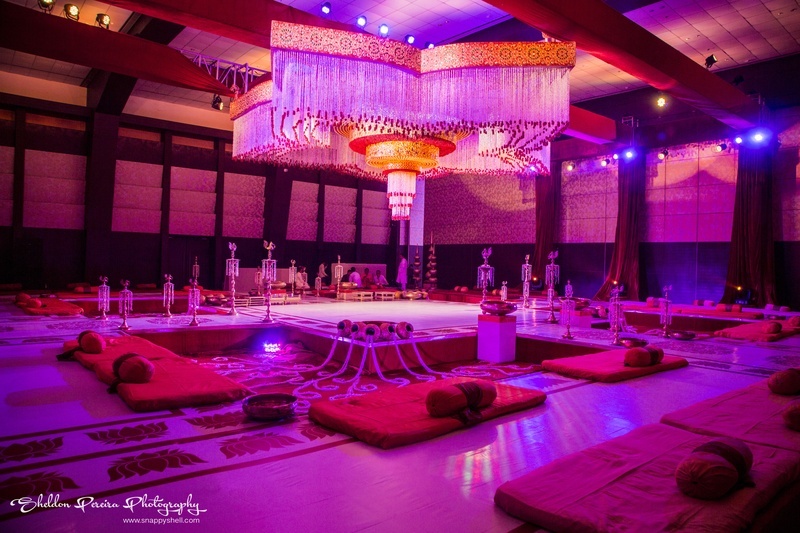 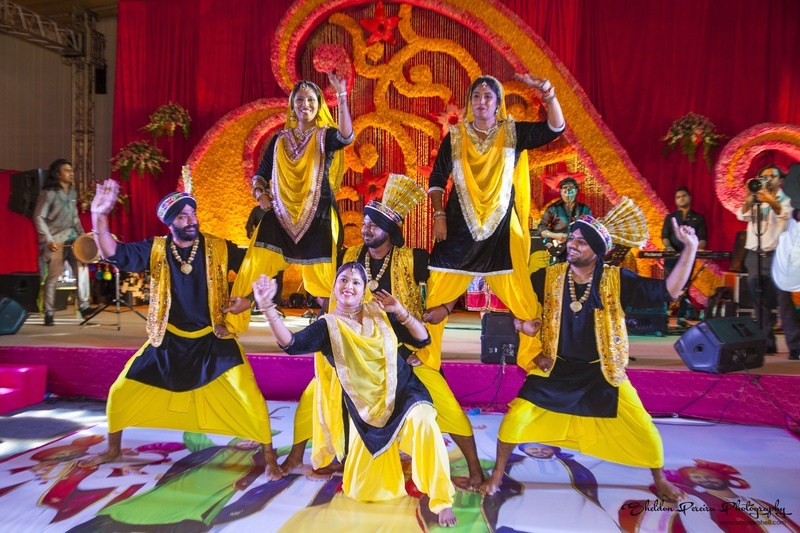 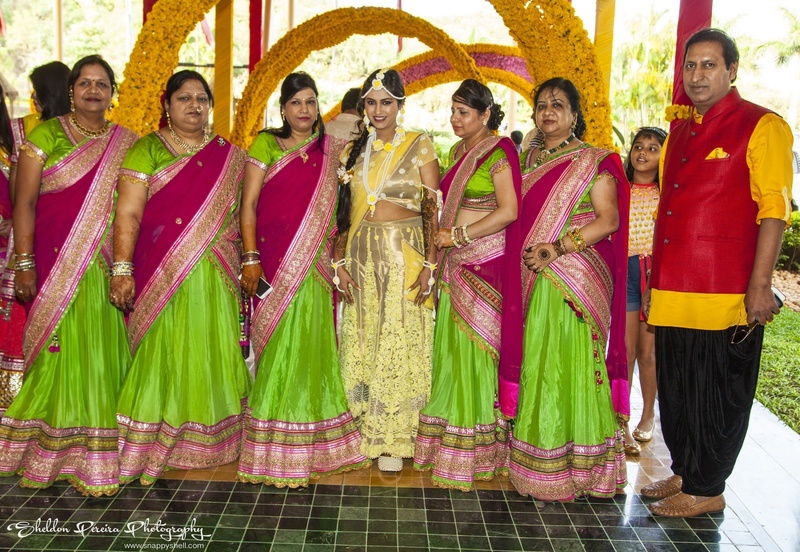 A group of Punjabi folk dancers escorted Karan to the indoor space that was designed and decorated for the mehendi ceremony. 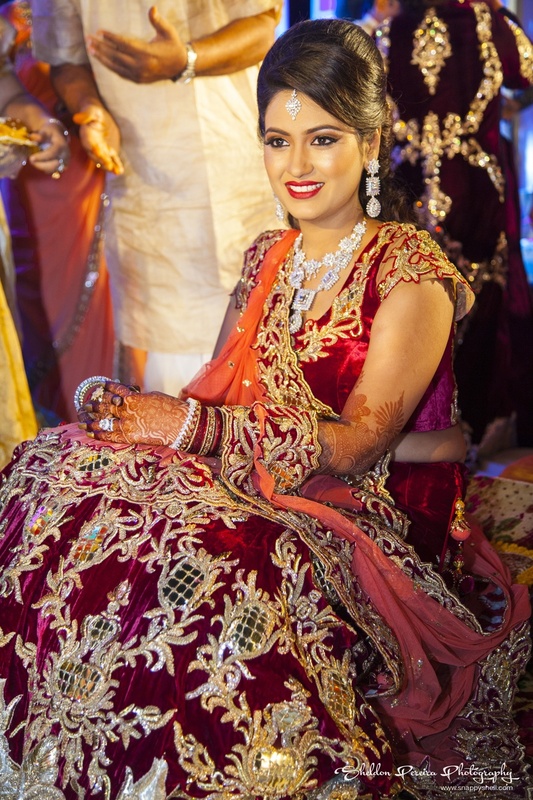 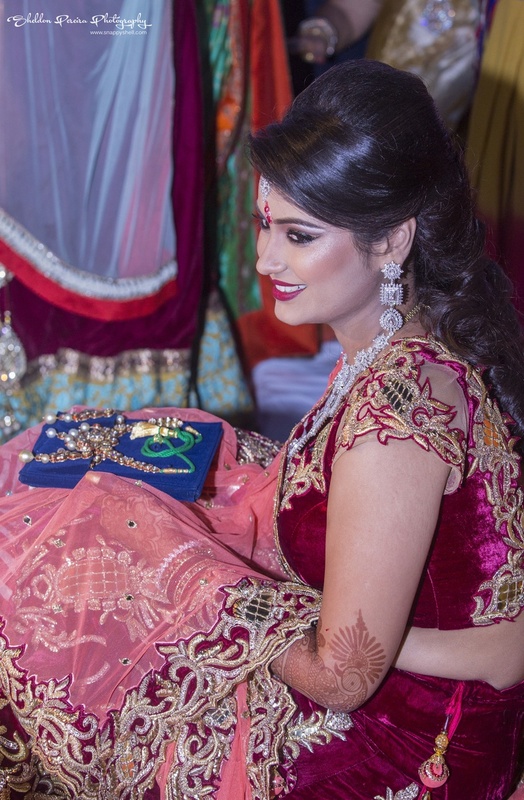 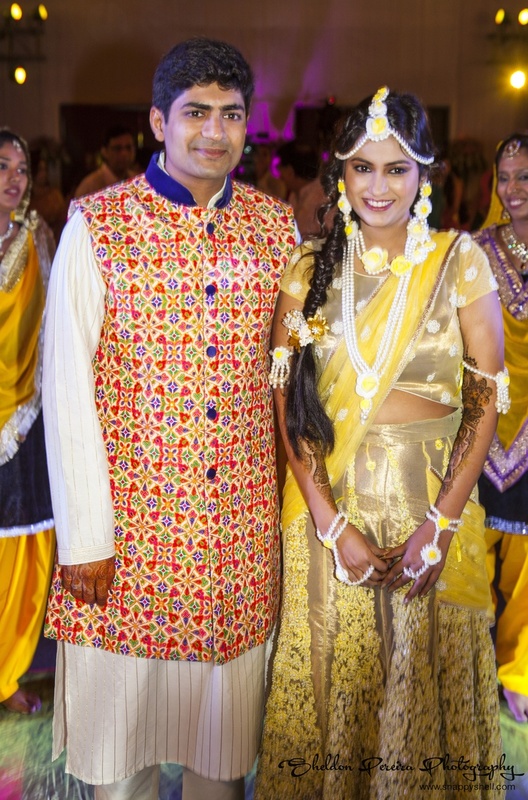 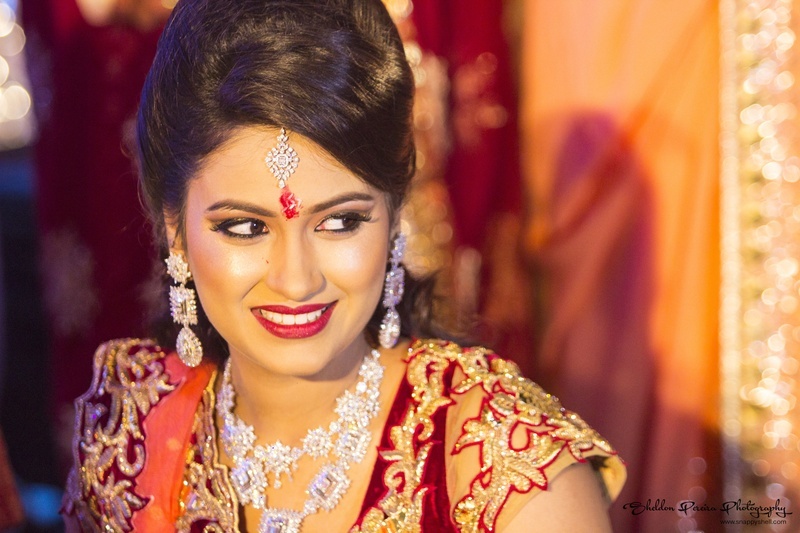 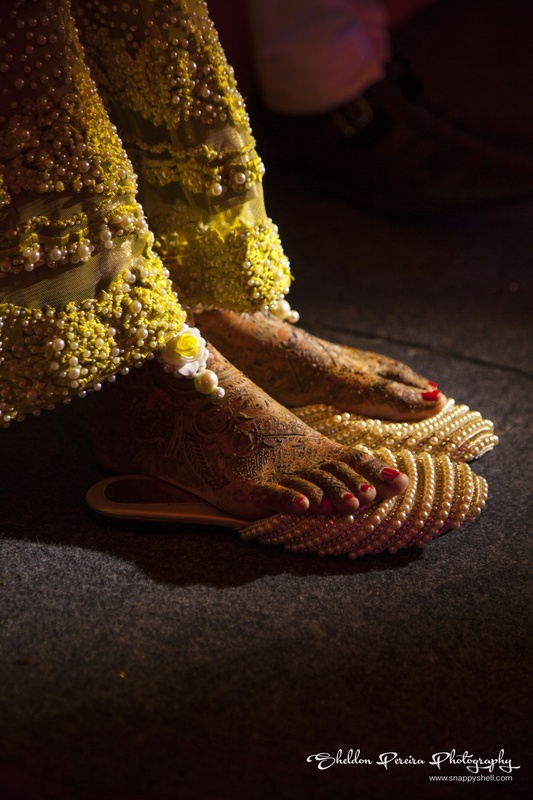 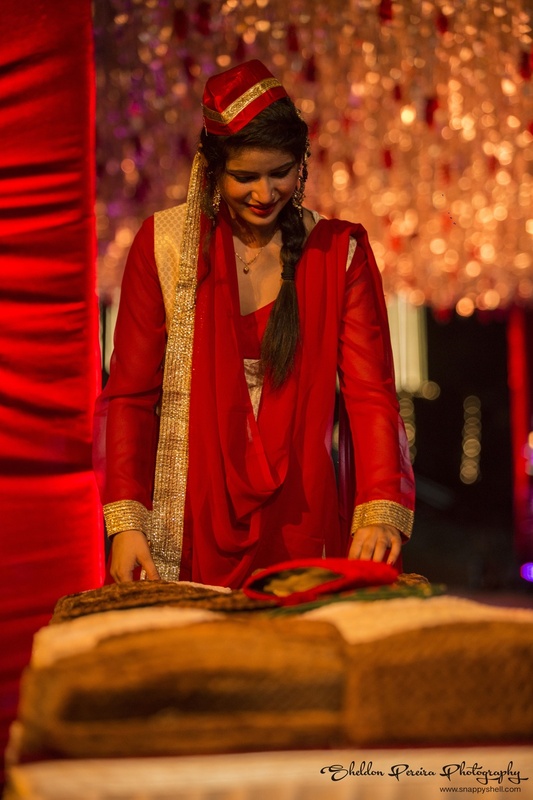 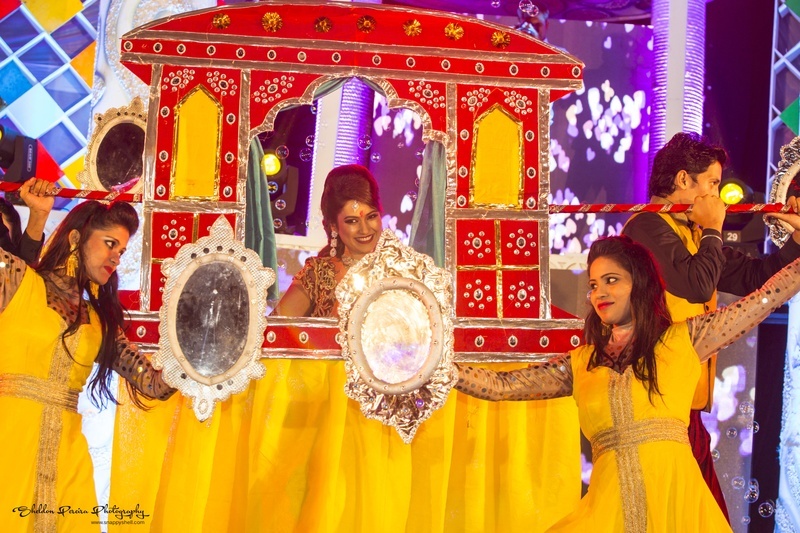 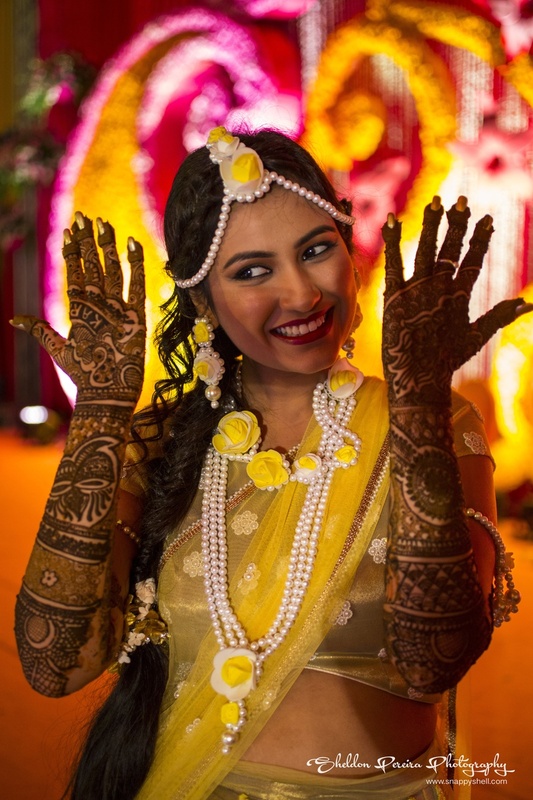 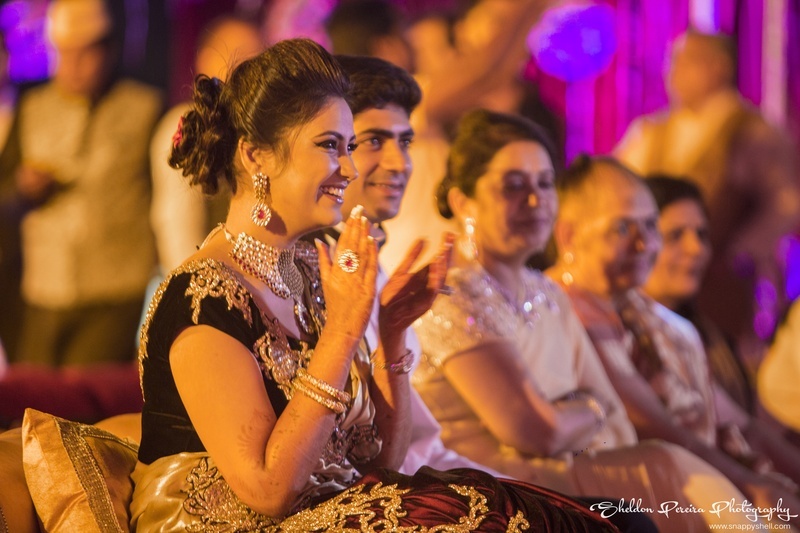 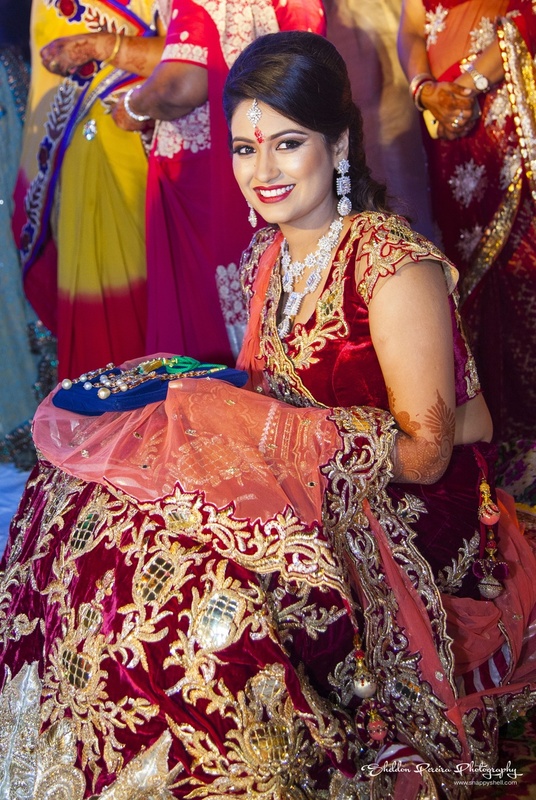 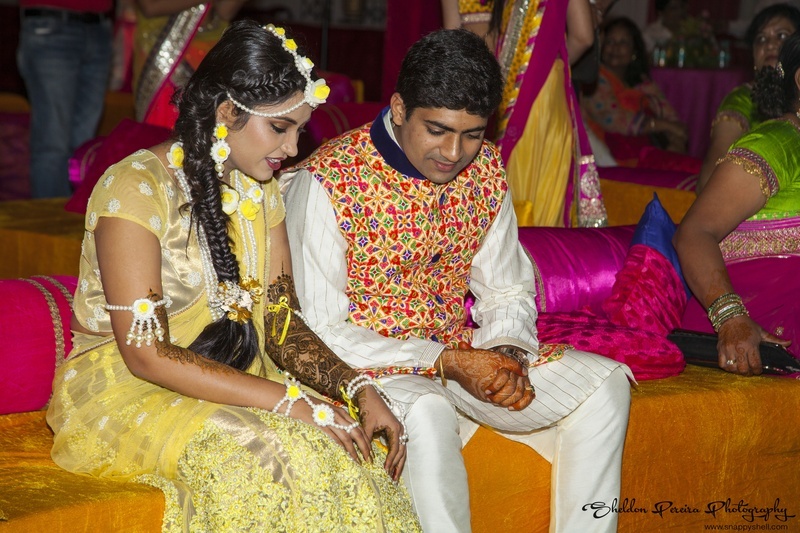 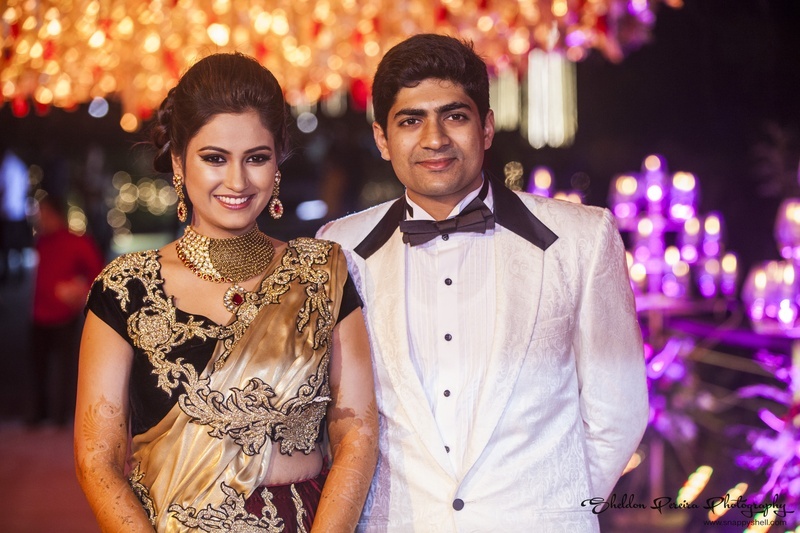 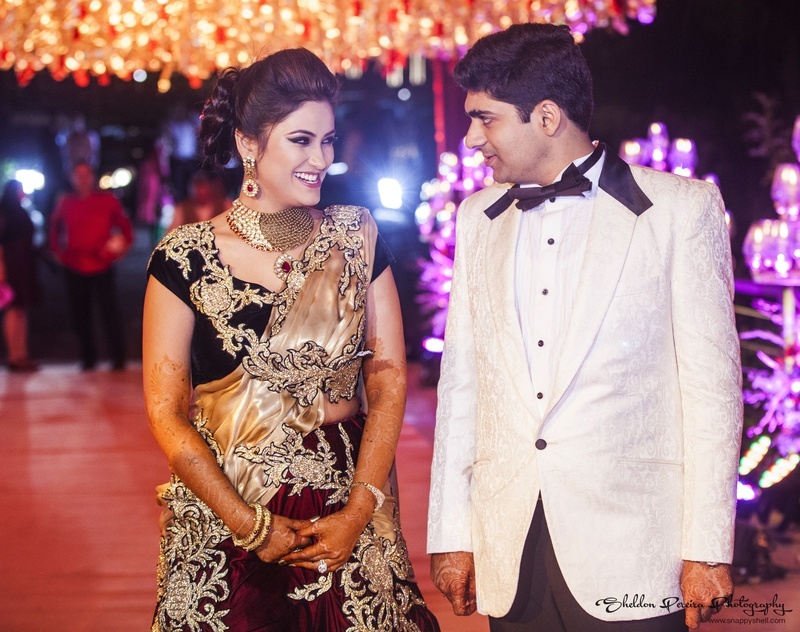 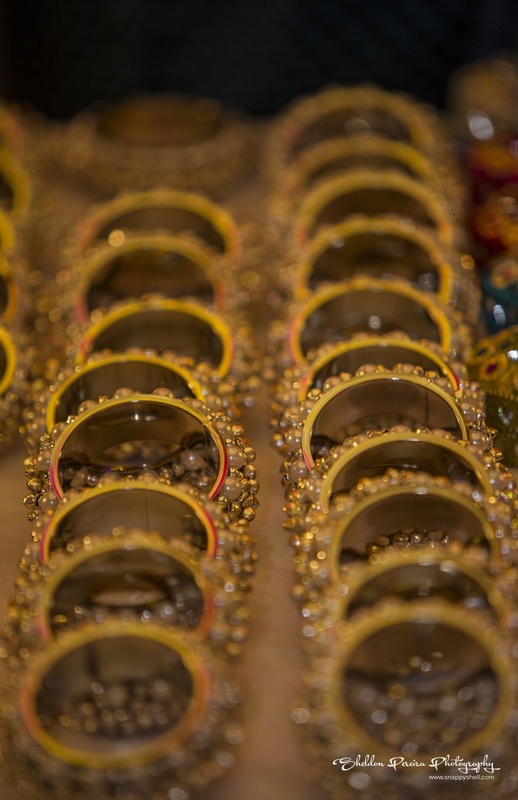 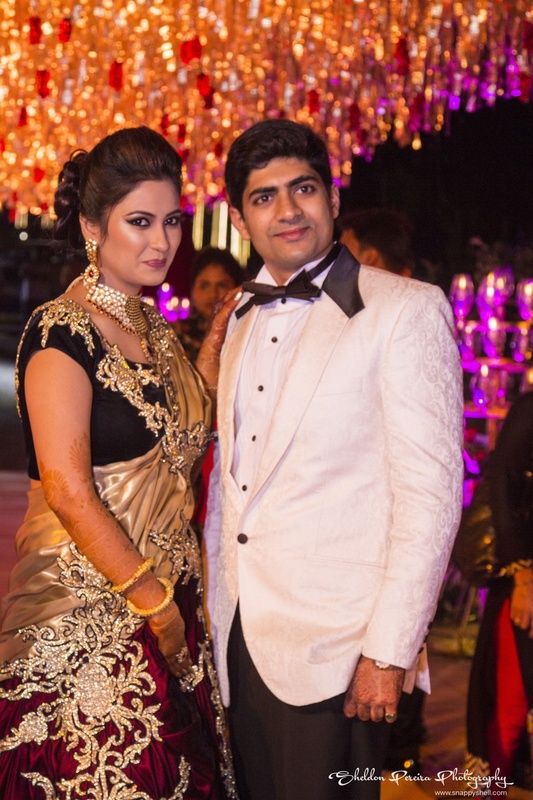 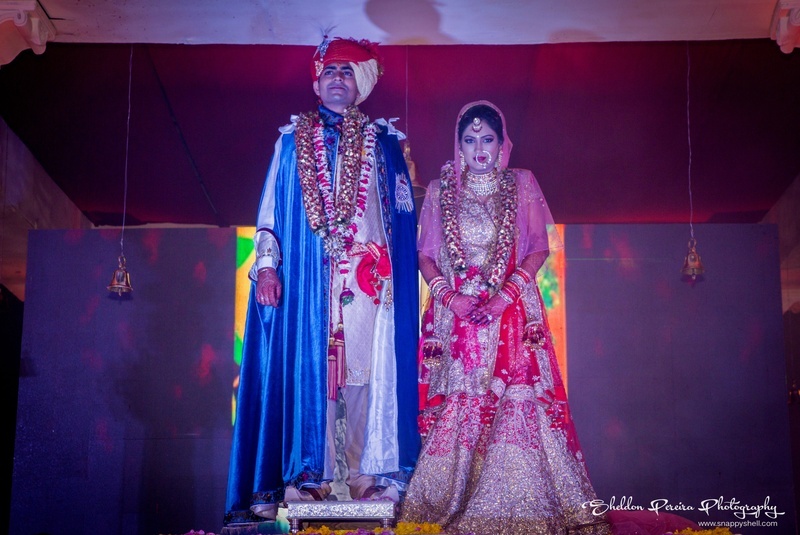 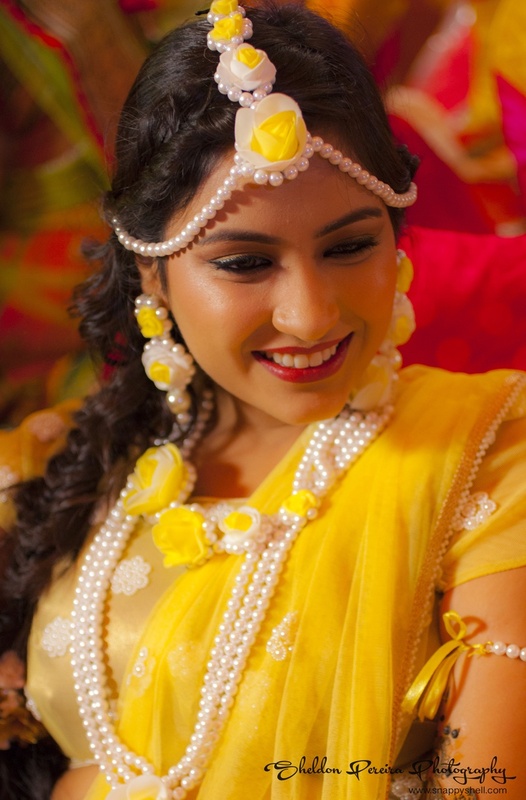 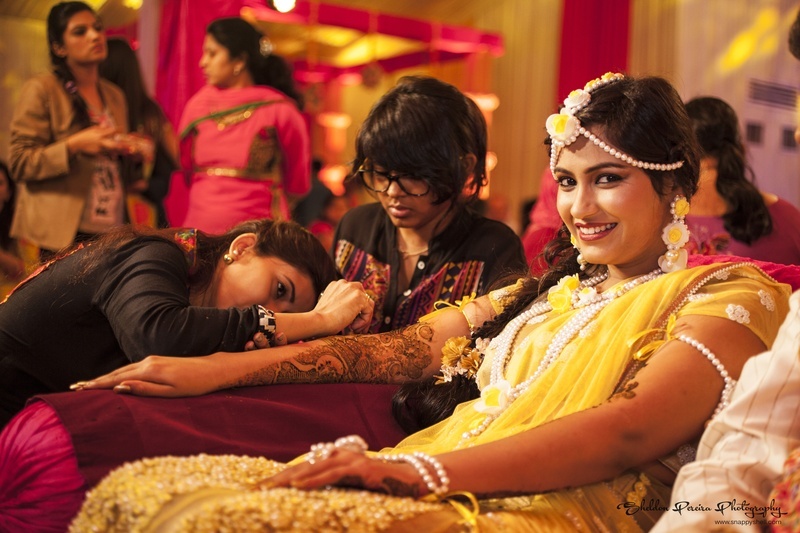 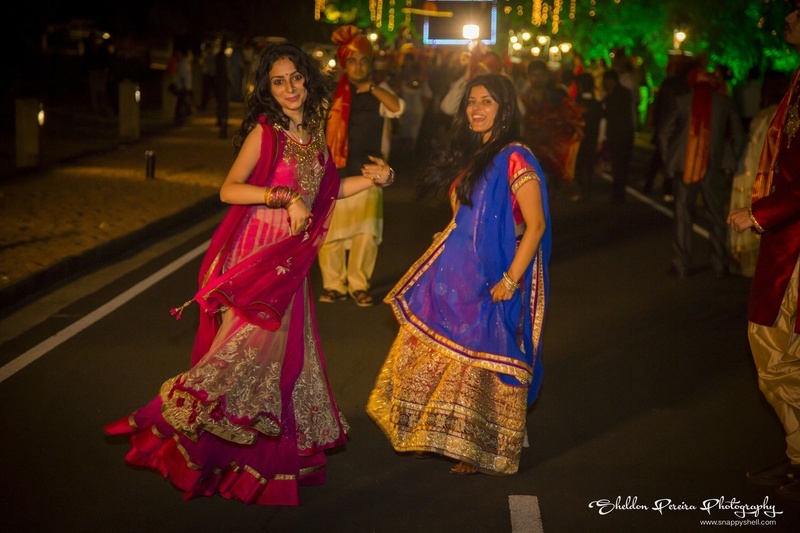 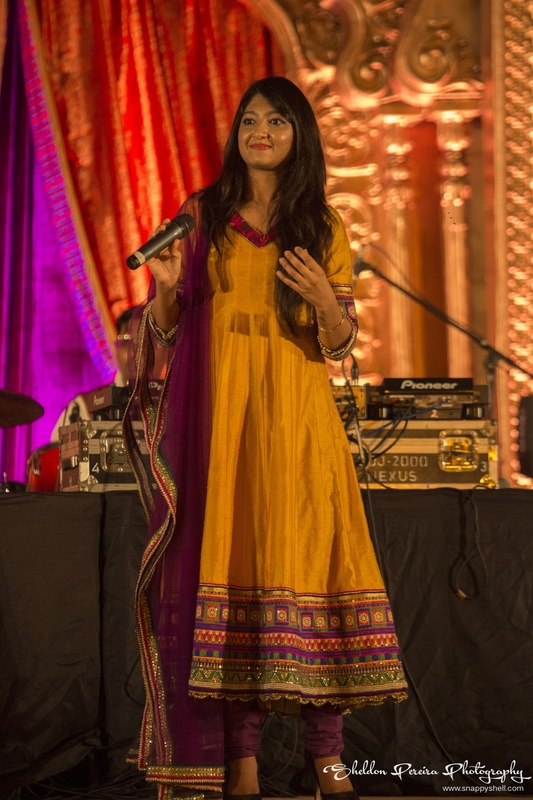 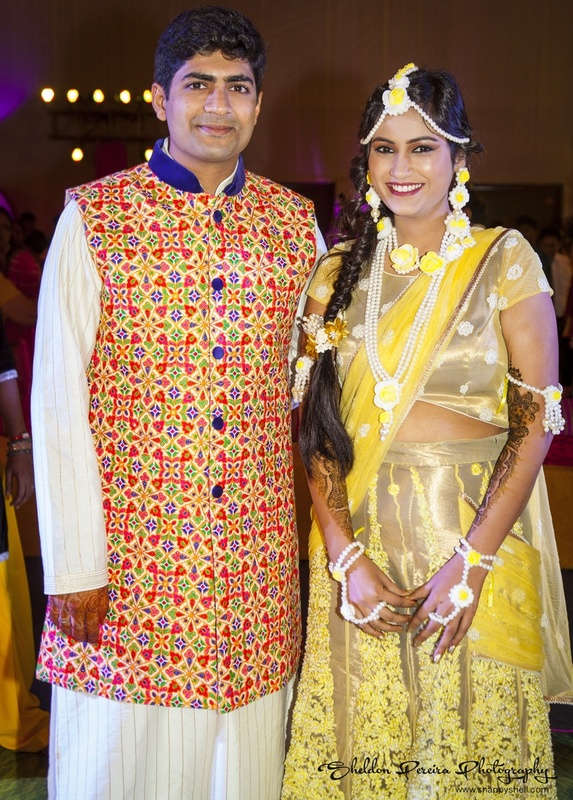 Stepping out from a black Mercedes, Komal wore a light yellow mehendi outfit with floral ornaments. 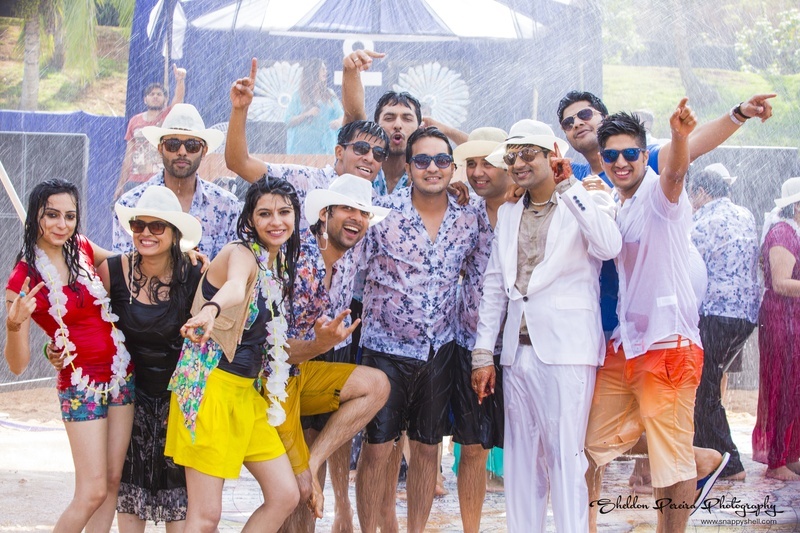 The uber-cool pre wedding rain dance party had special performances by fairies and hoolah girls. 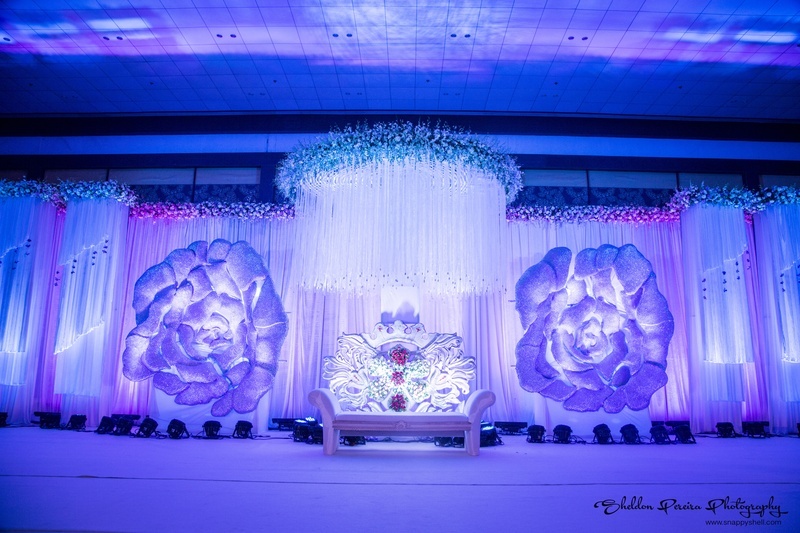 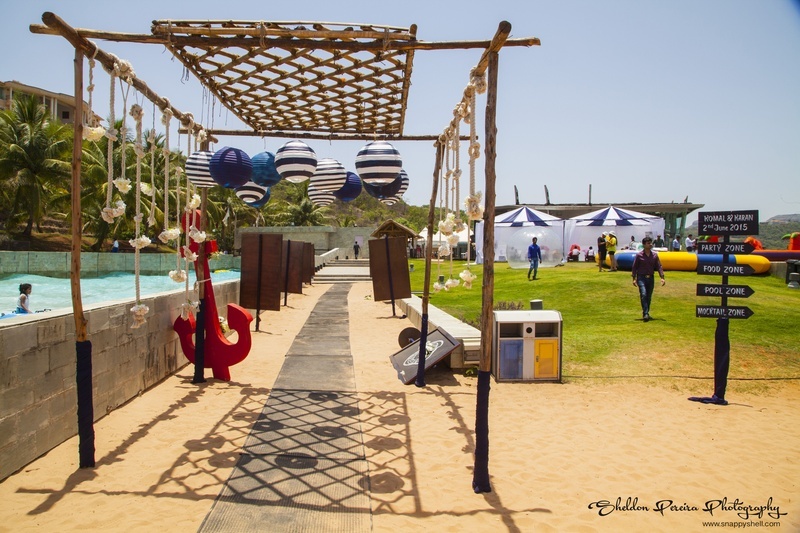 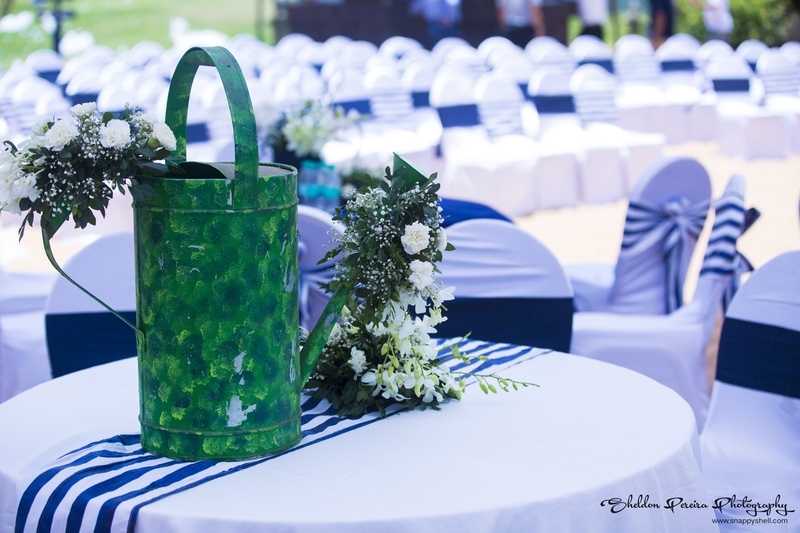 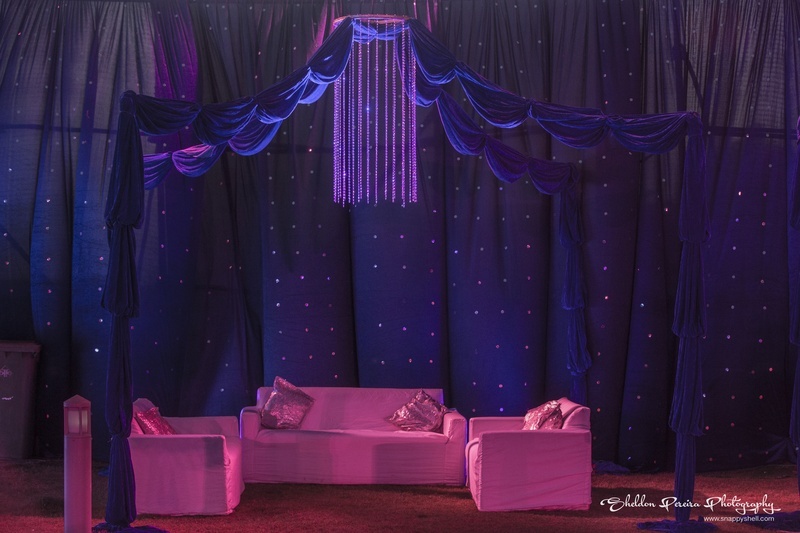 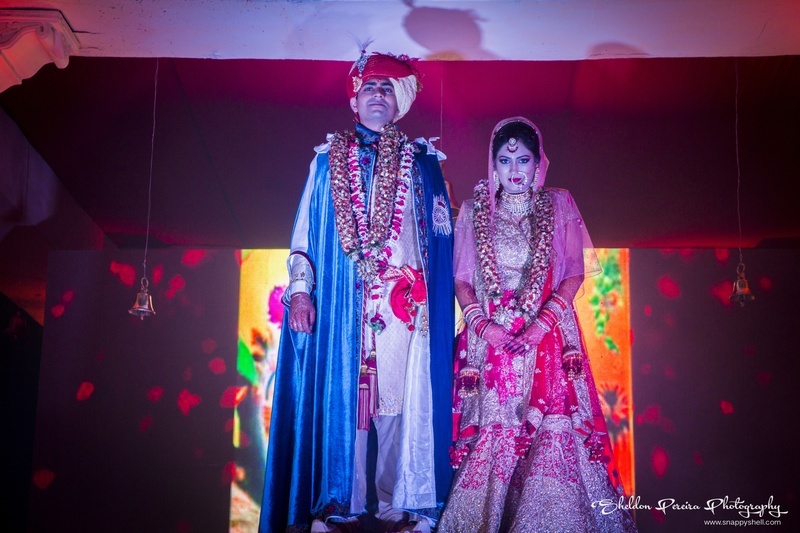 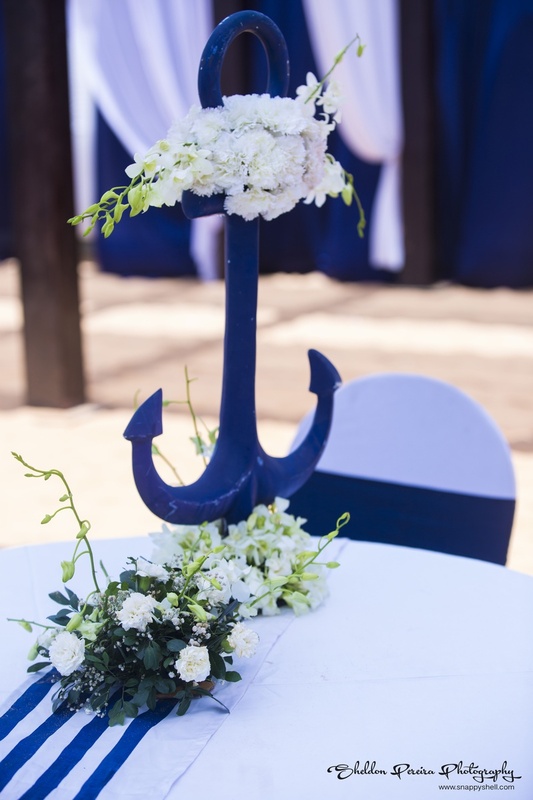 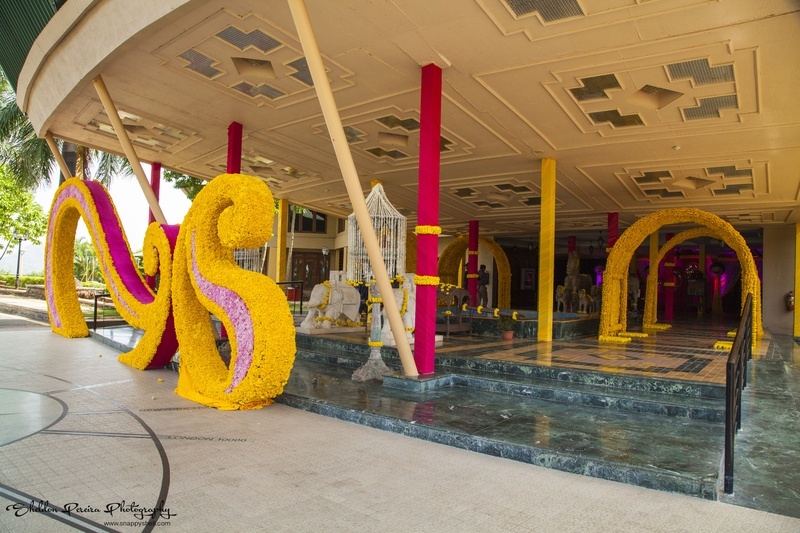 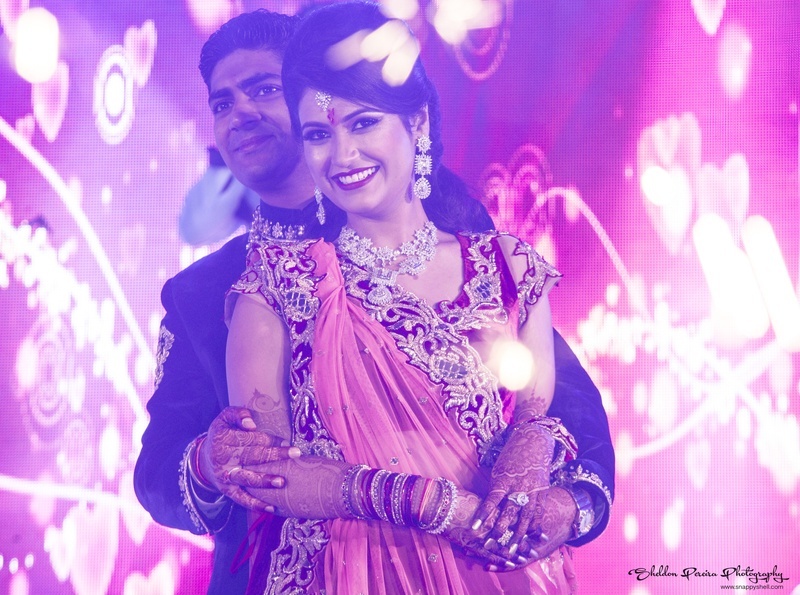 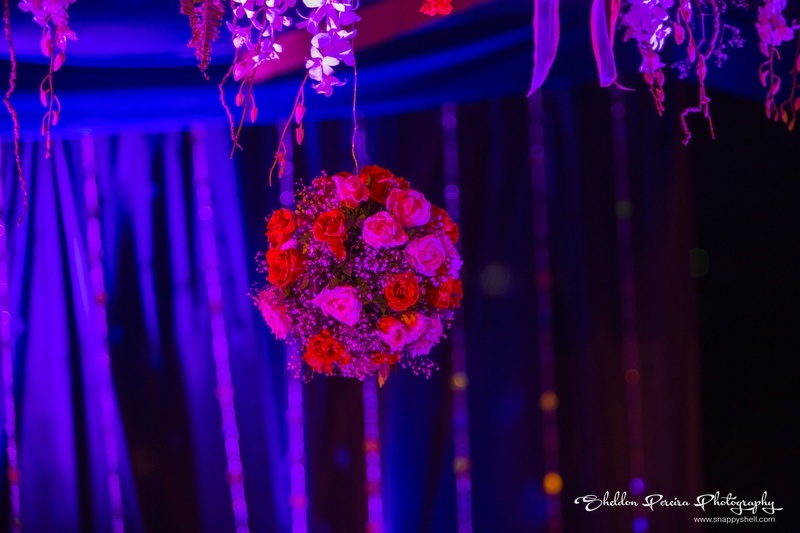 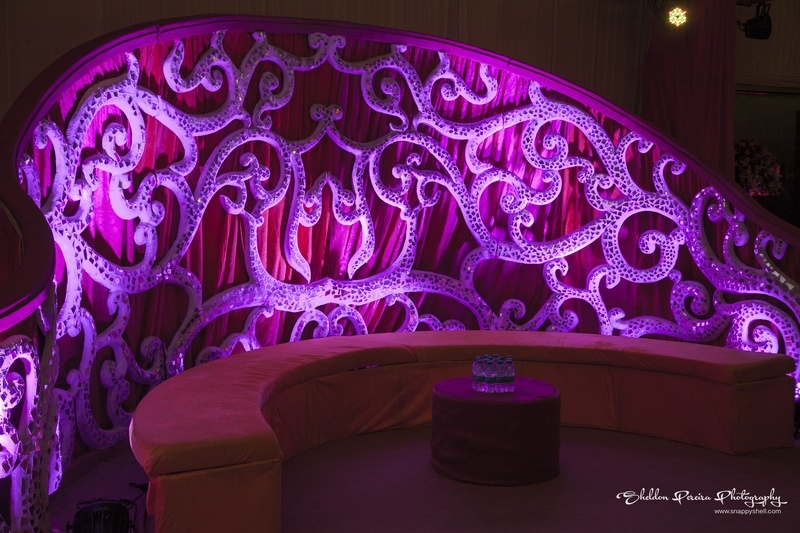 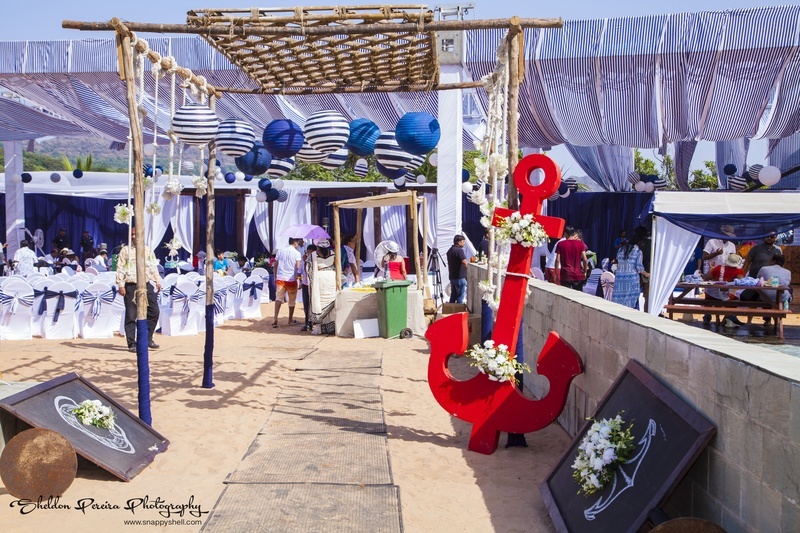 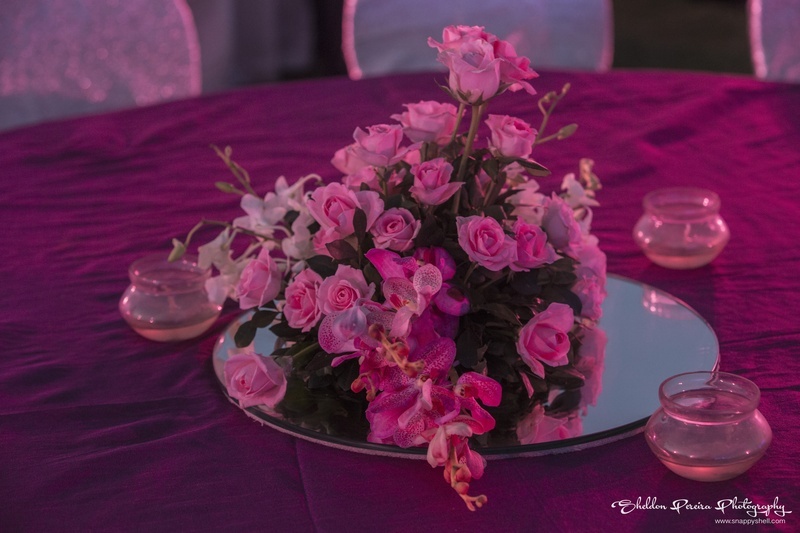 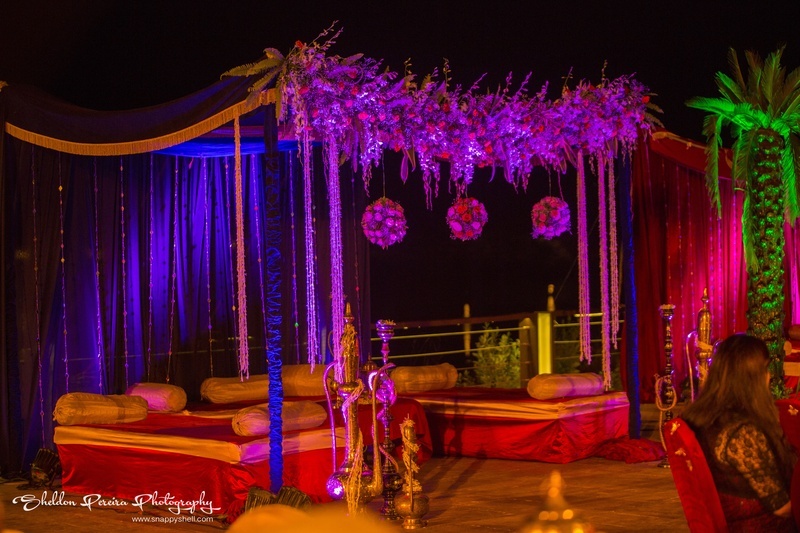 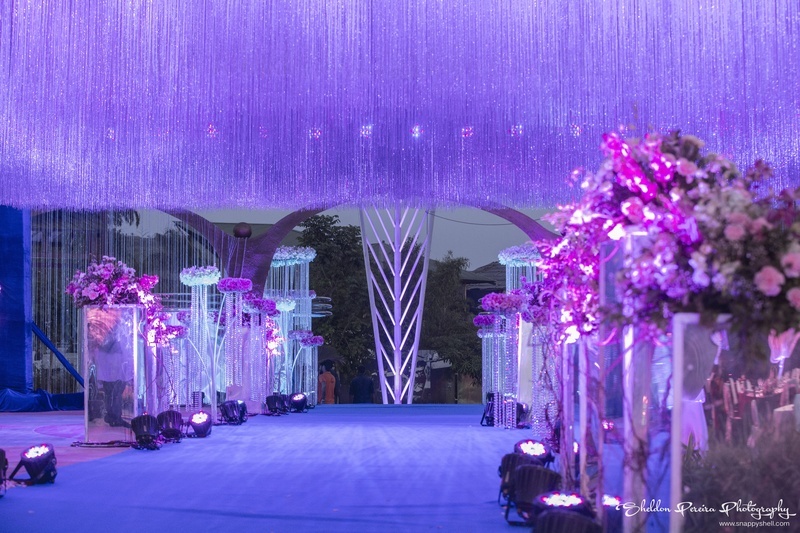 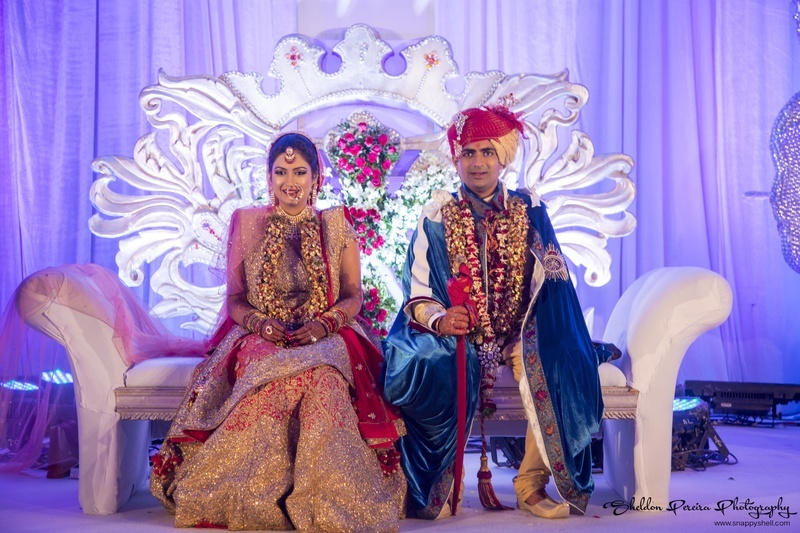 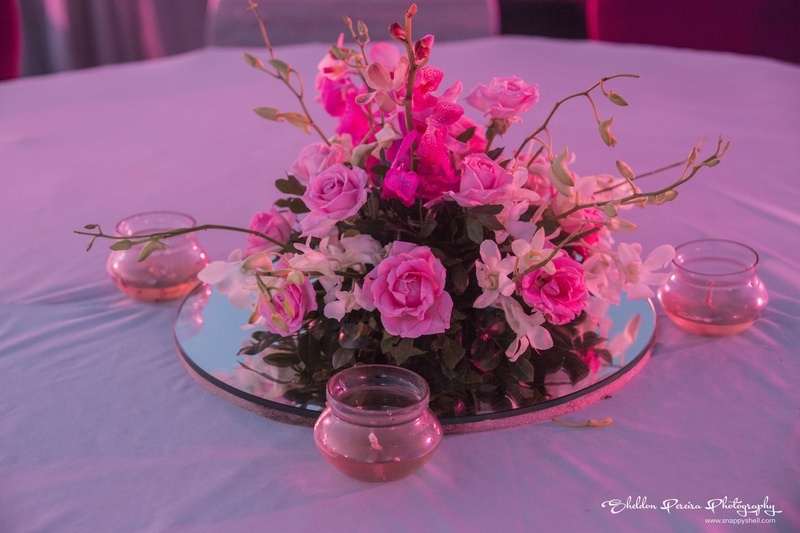 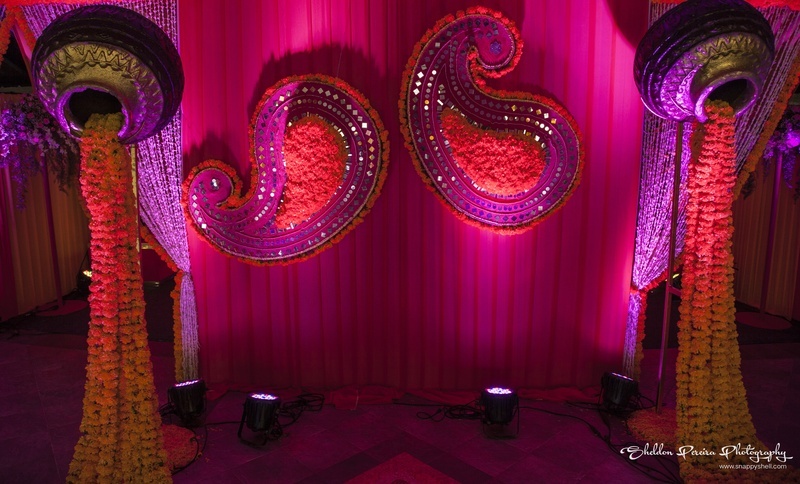 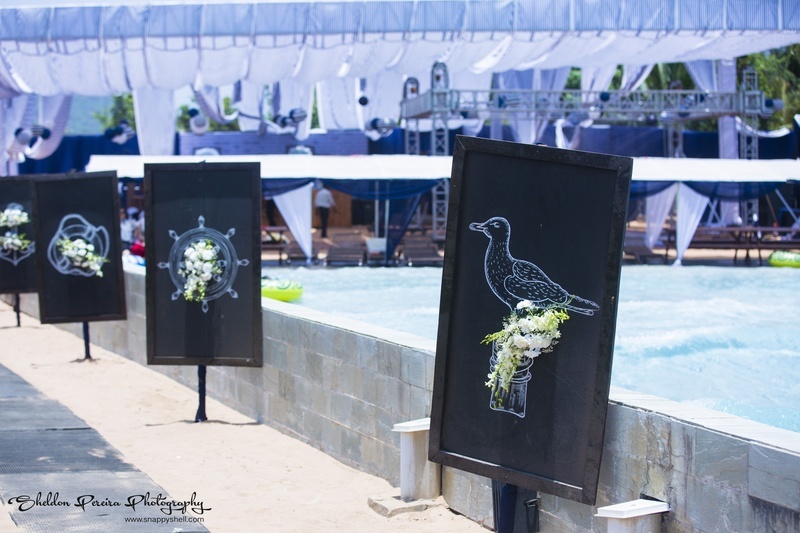 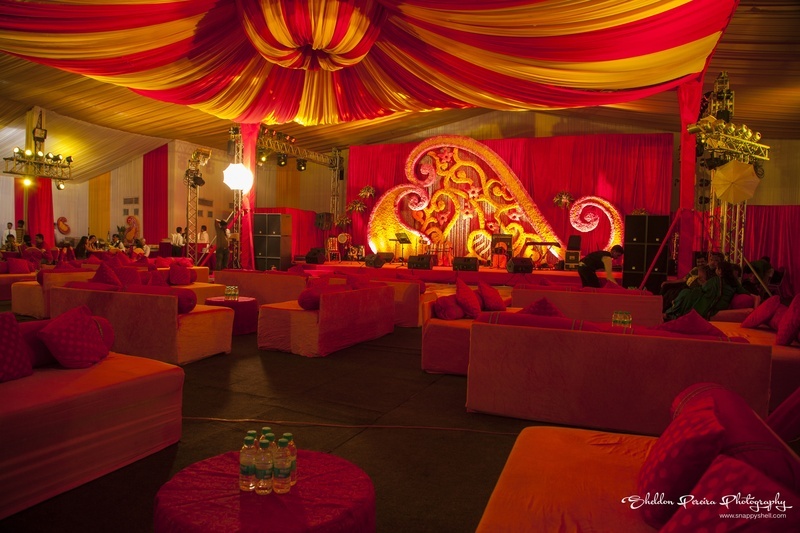 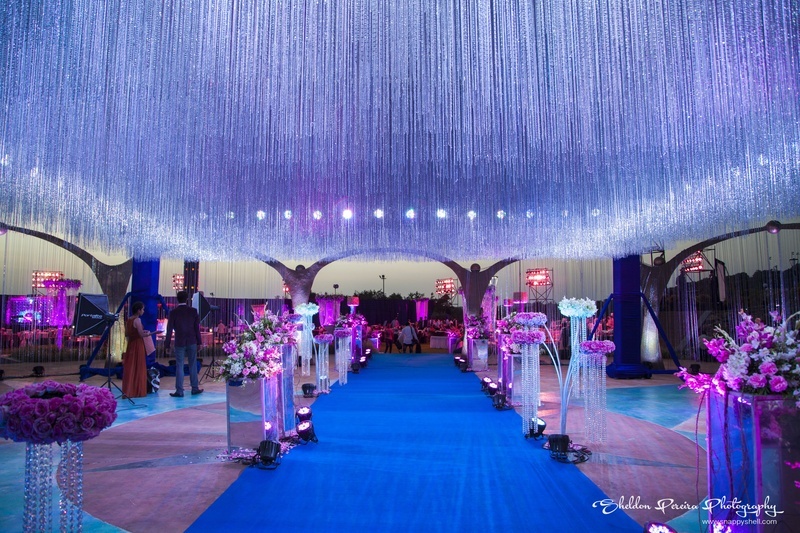 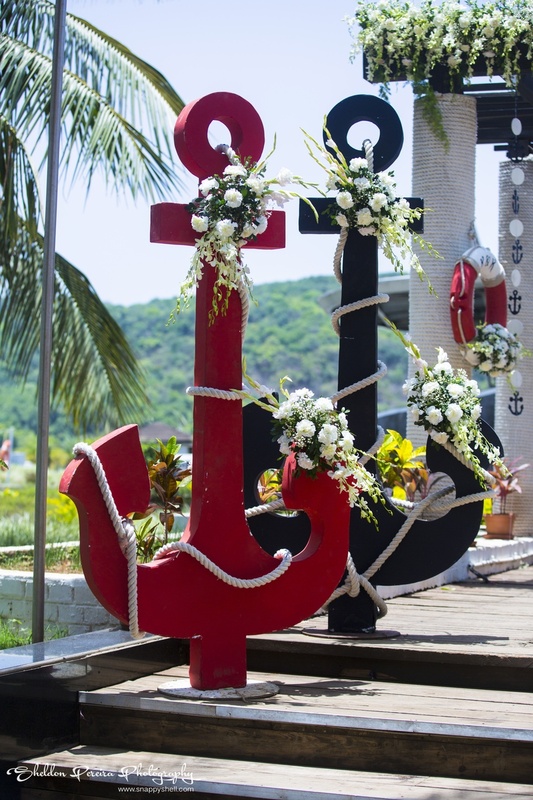 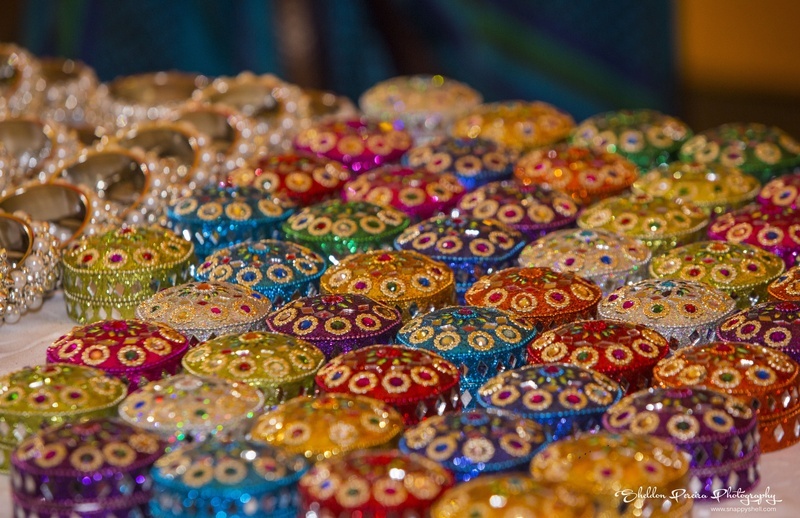 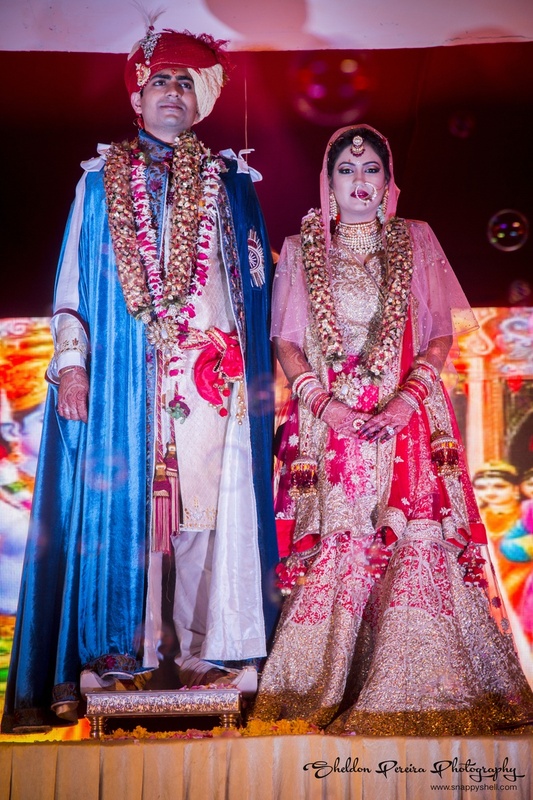 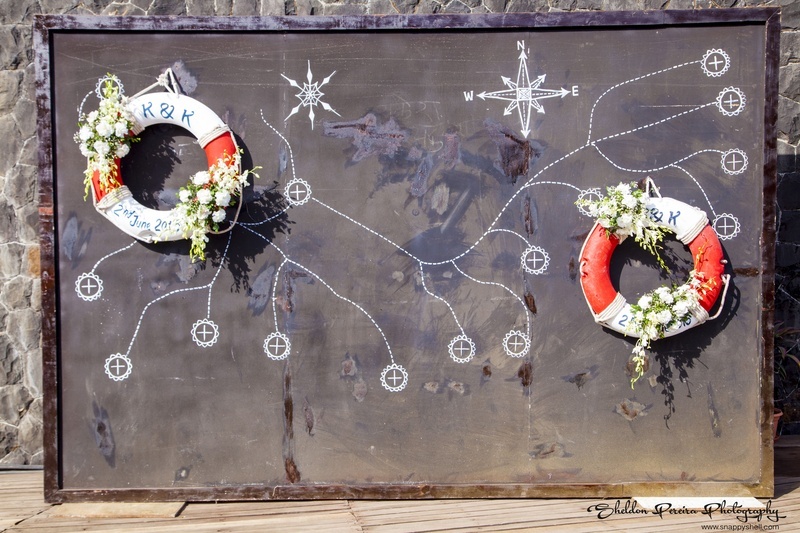 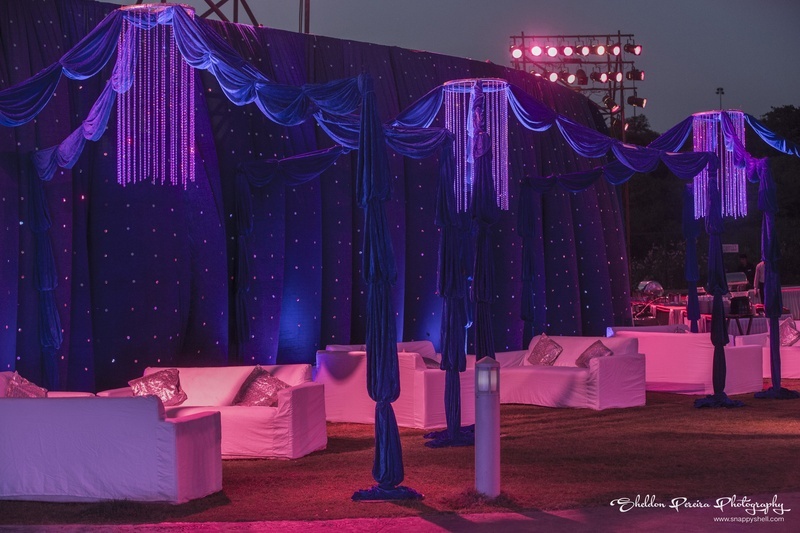 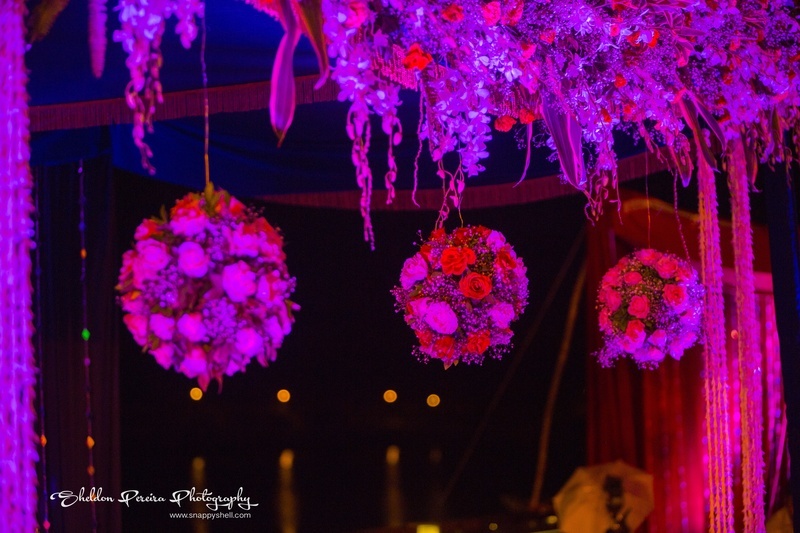 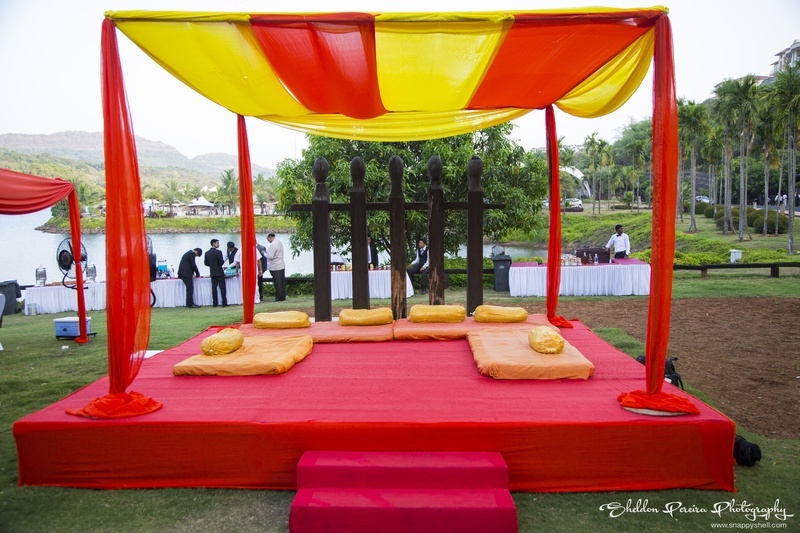 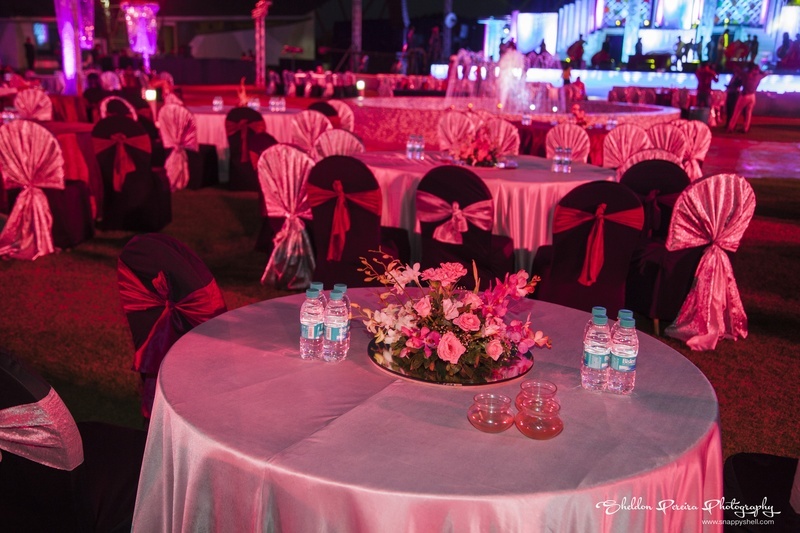 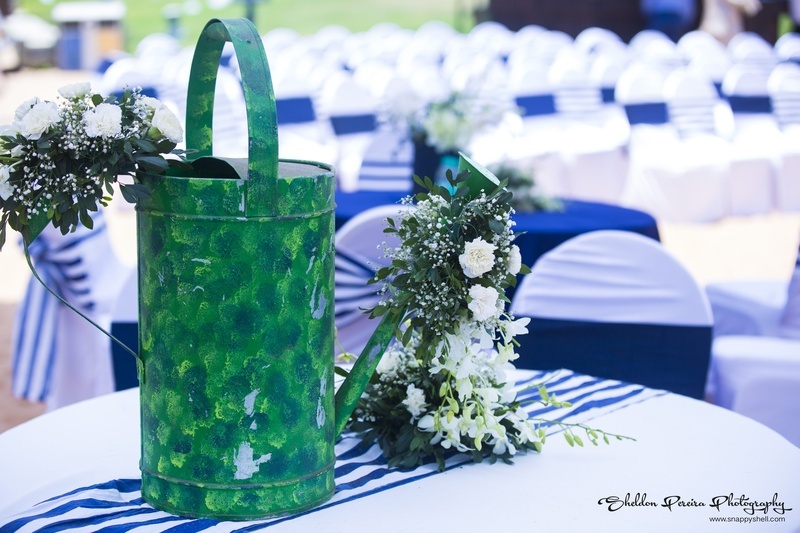 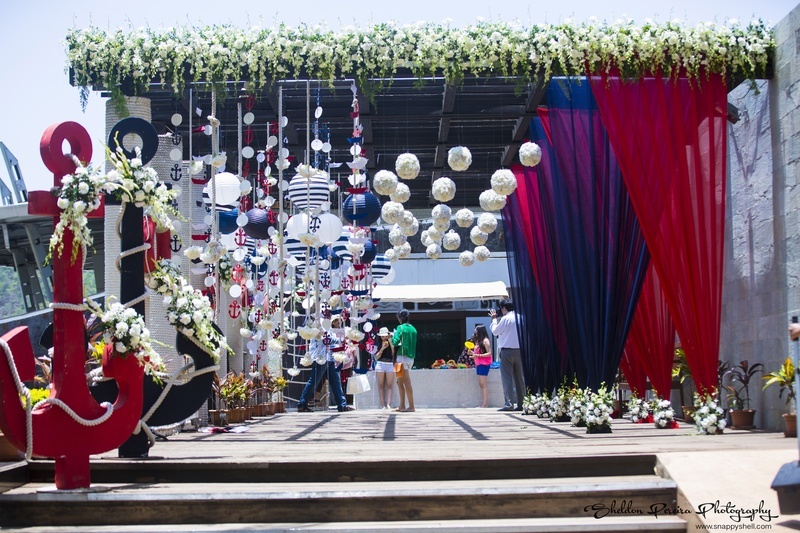 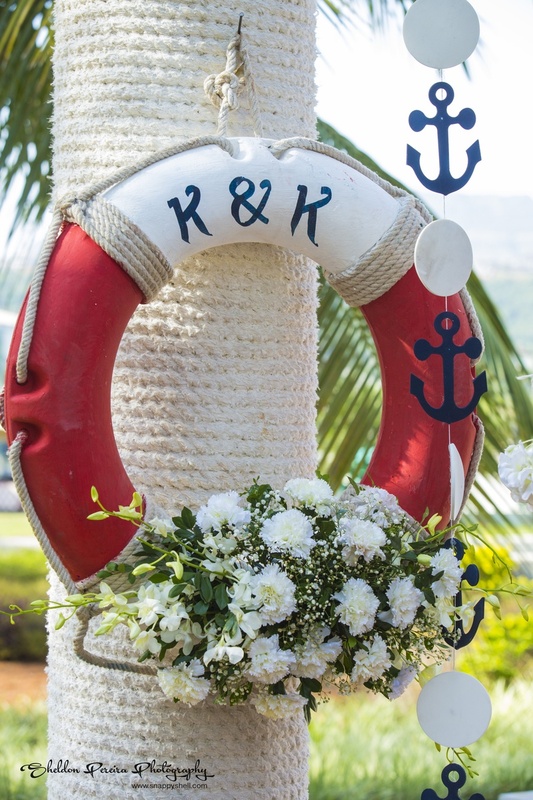 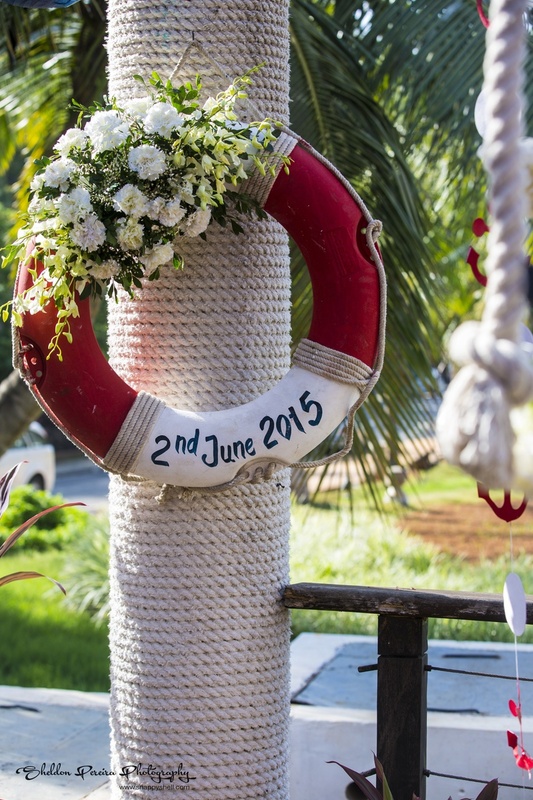 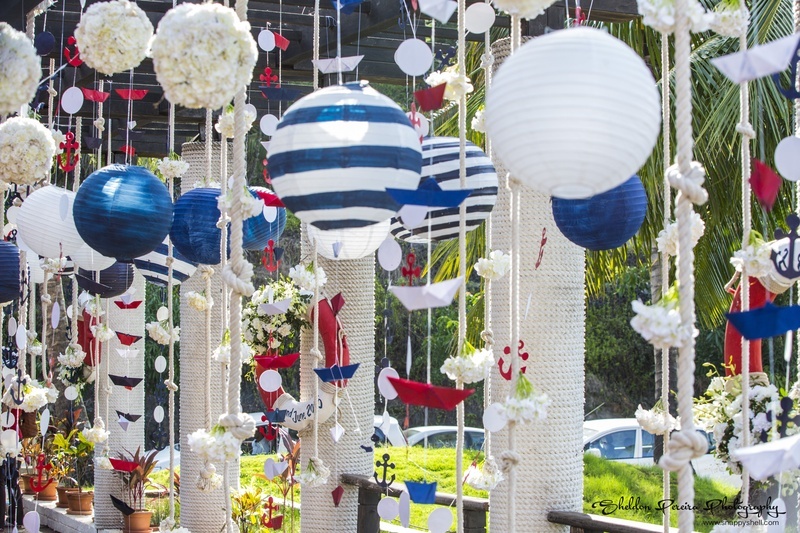 The colourful décor had aqua theme with the couple’s initial written on circular floats. 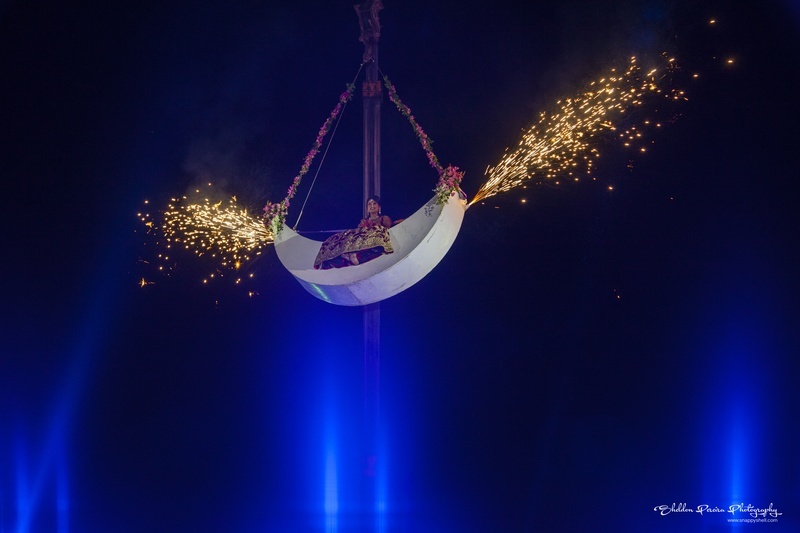 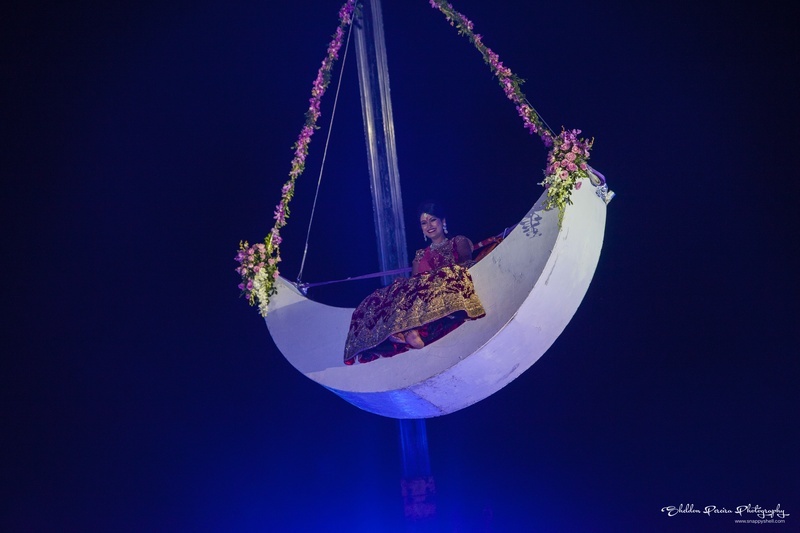 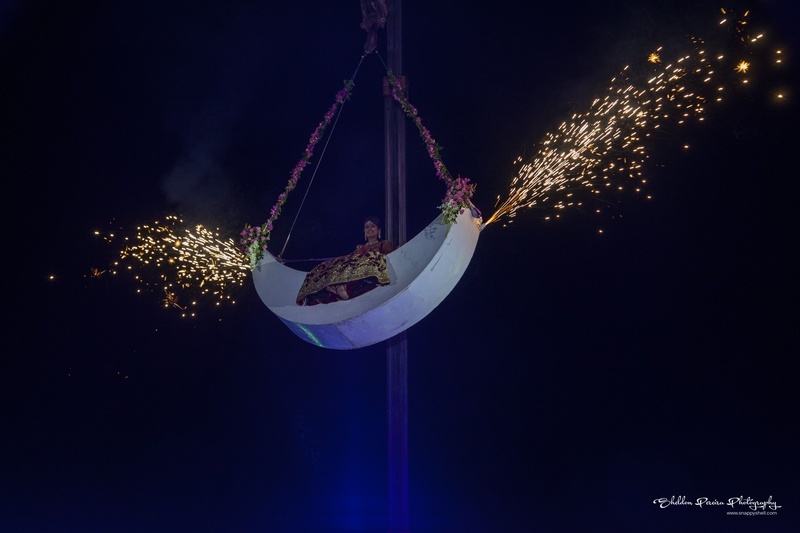 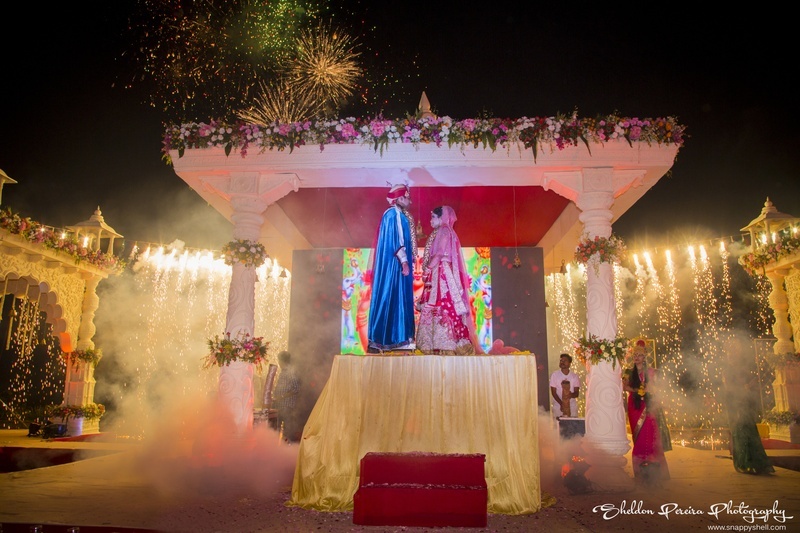 Varmalas were exchanged on an elevated platform with fireworks in the background. 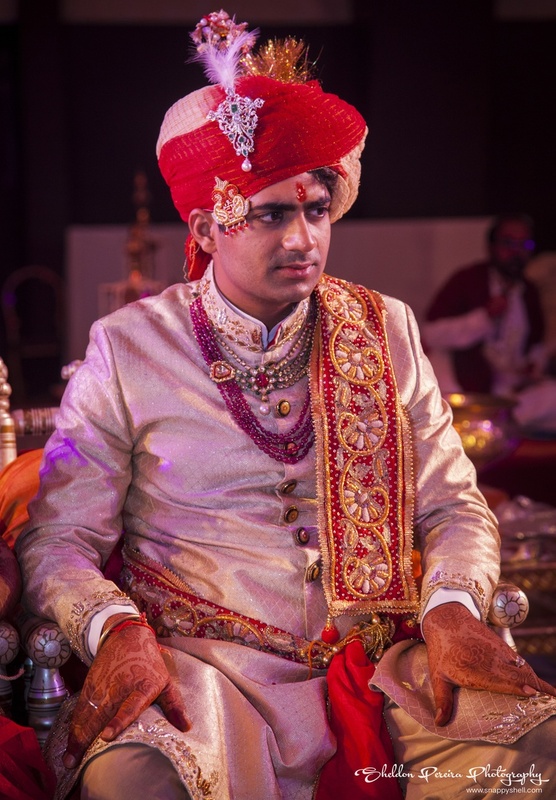 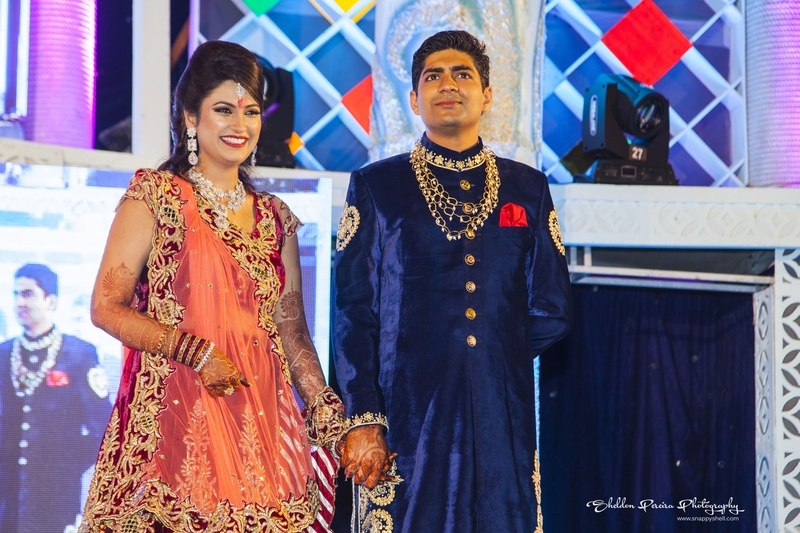 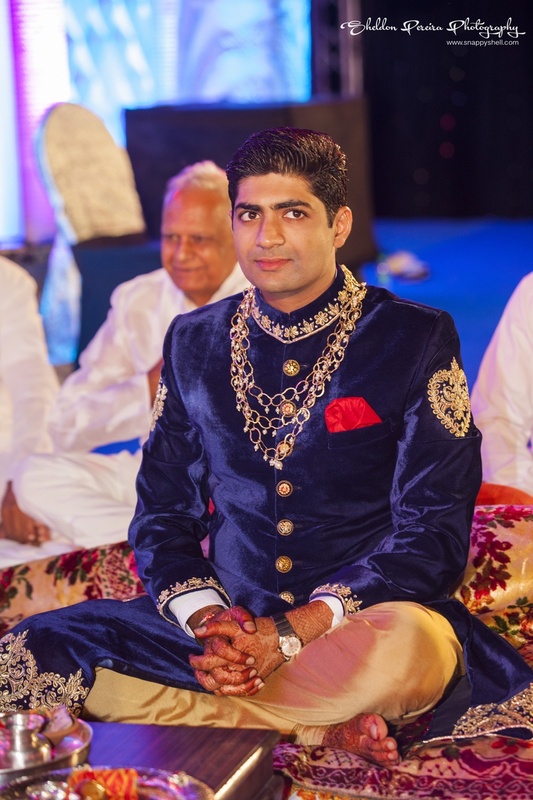 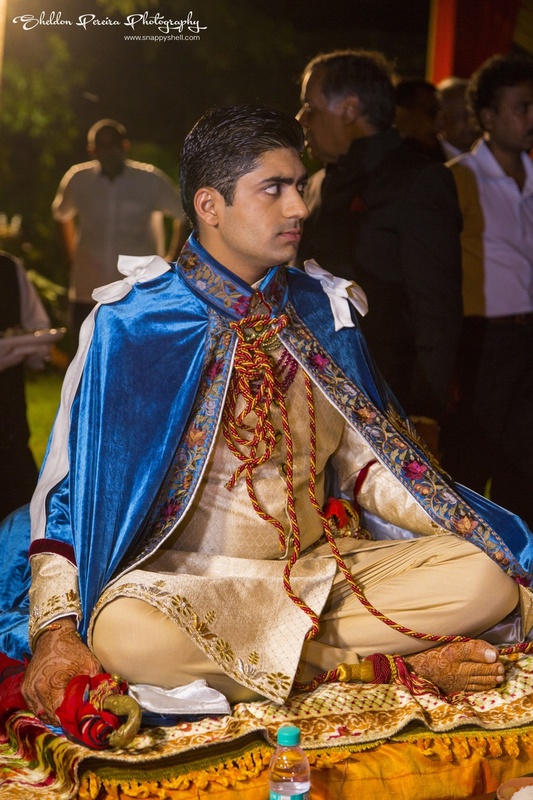 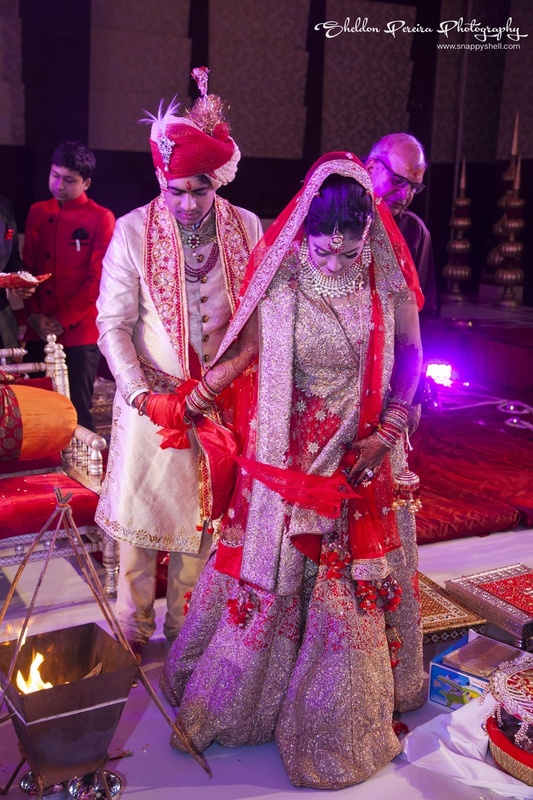 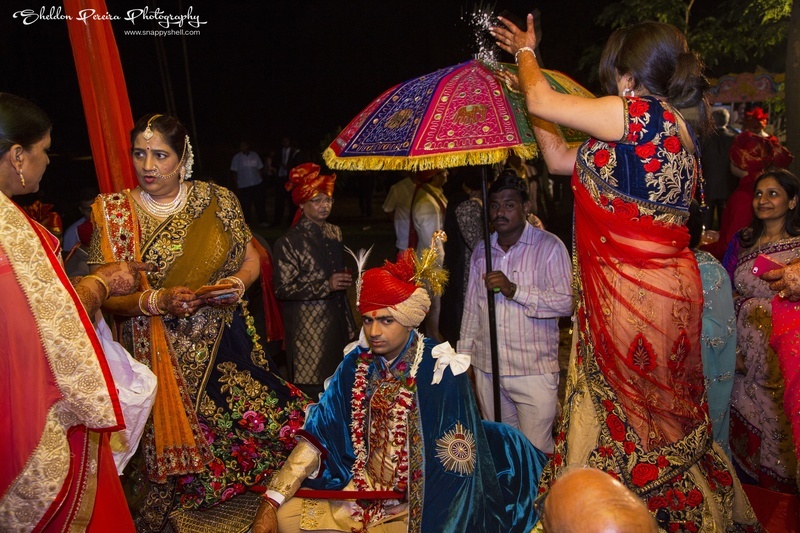 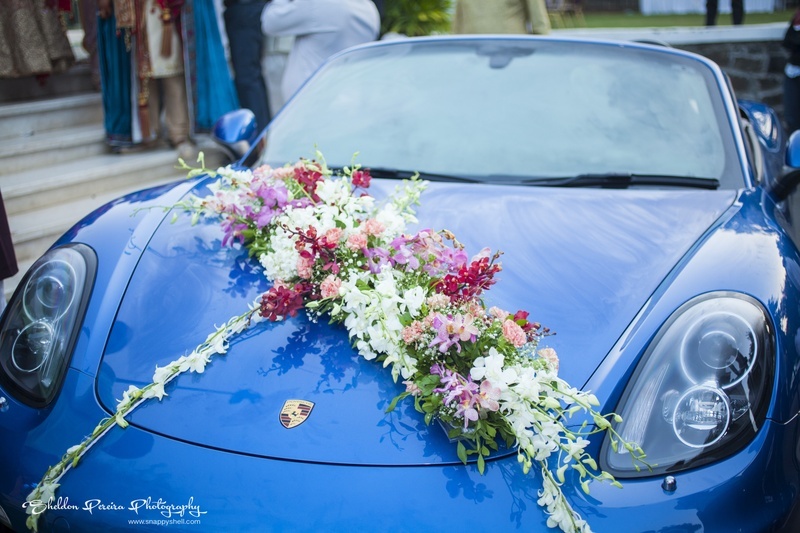 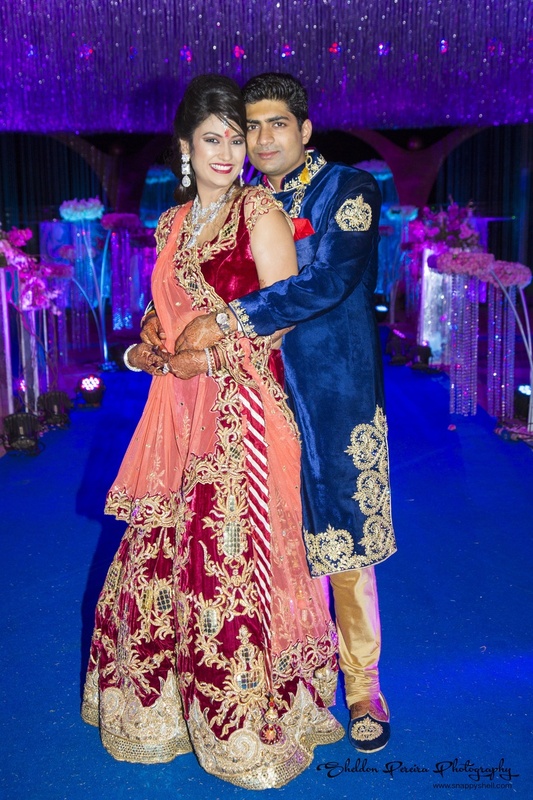 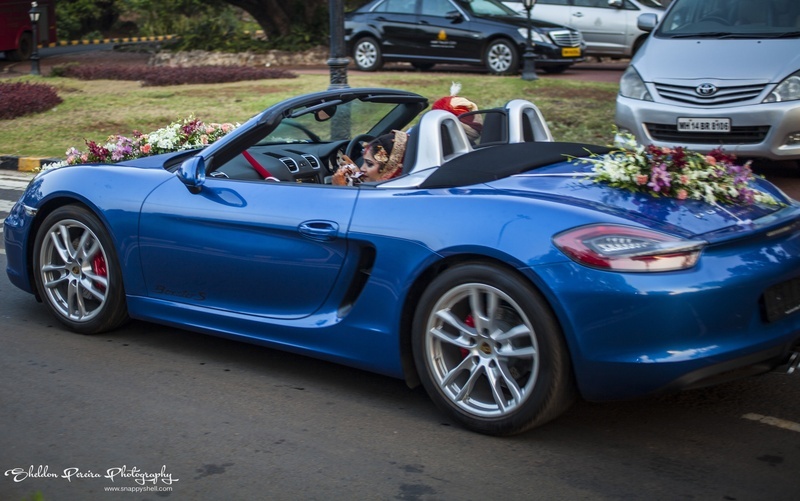 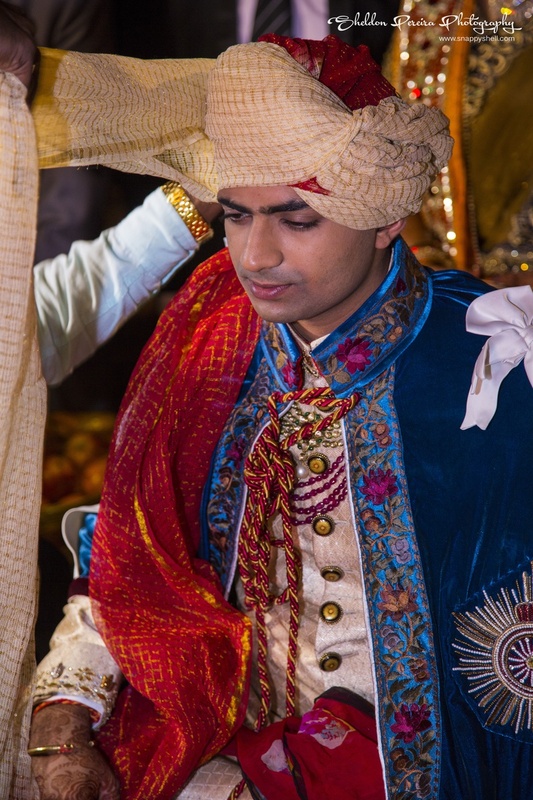 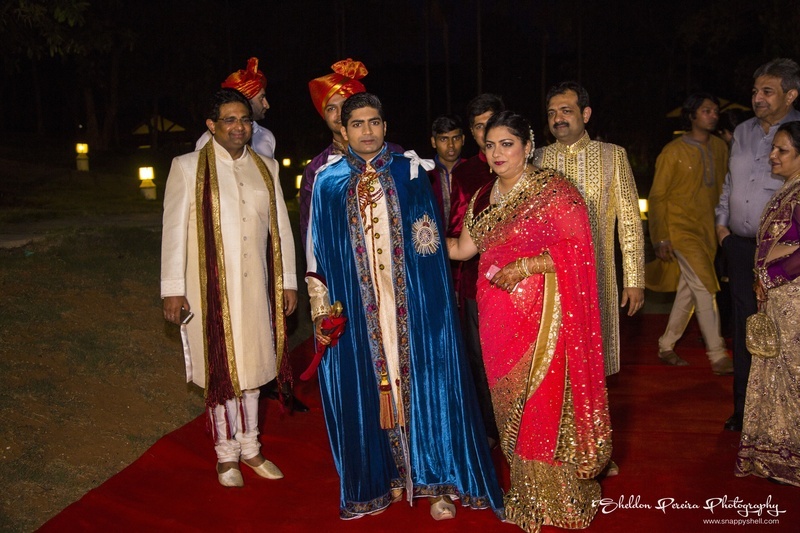 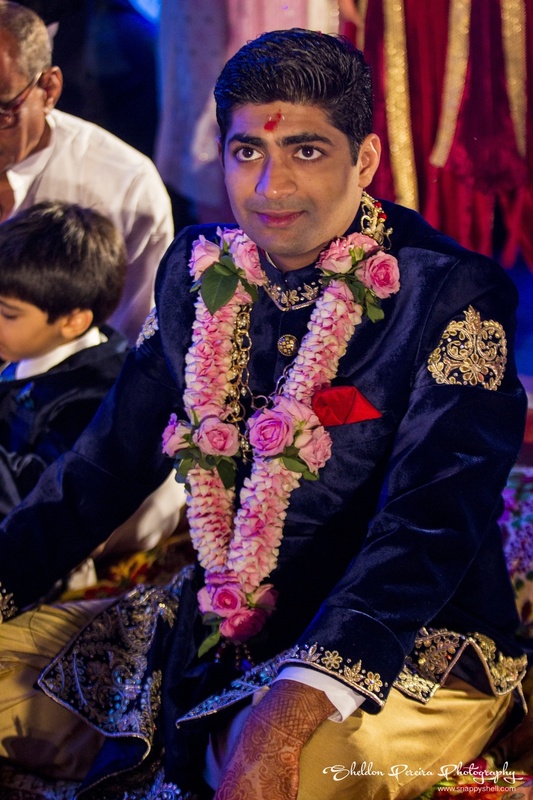 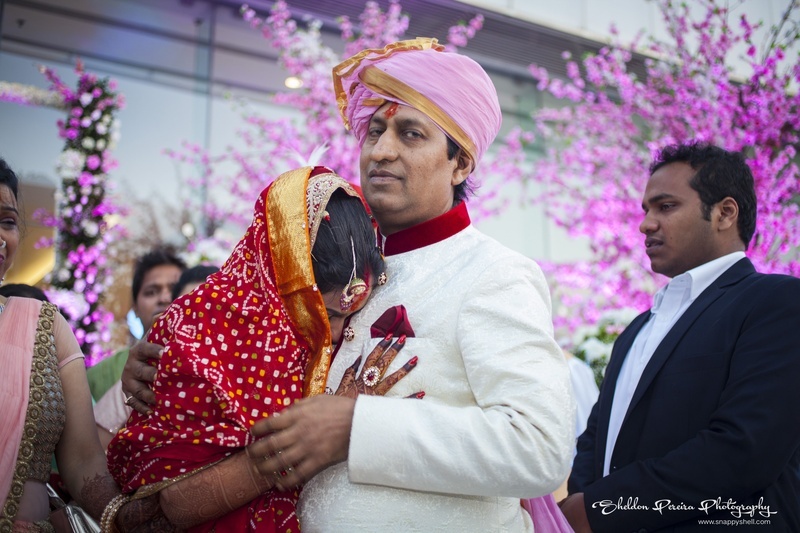 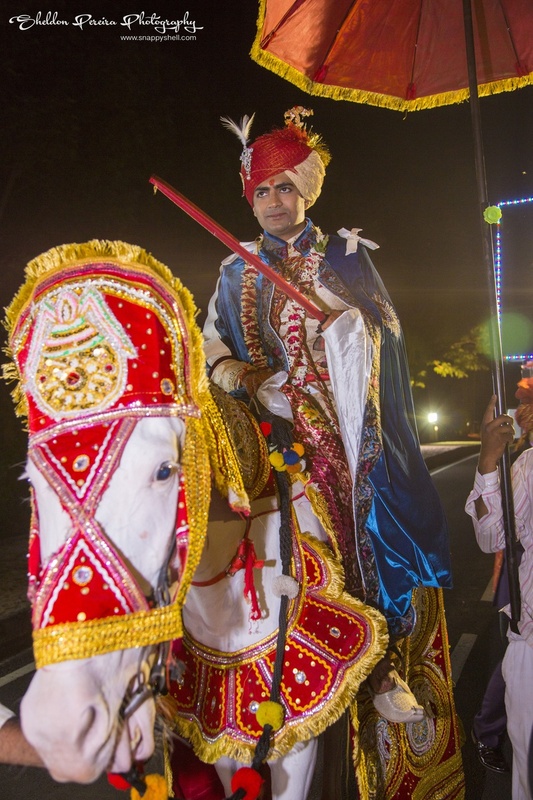 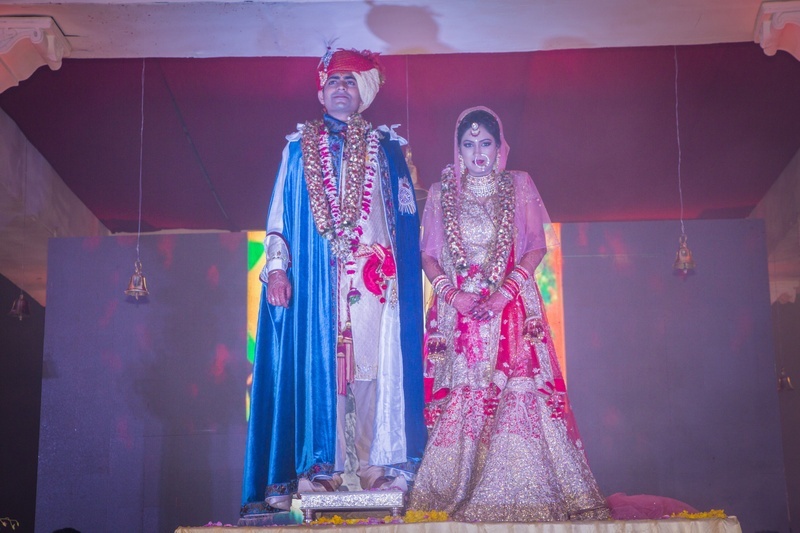 The groom’s shiny blue cape on a traditional shervani instantly catches your attention. 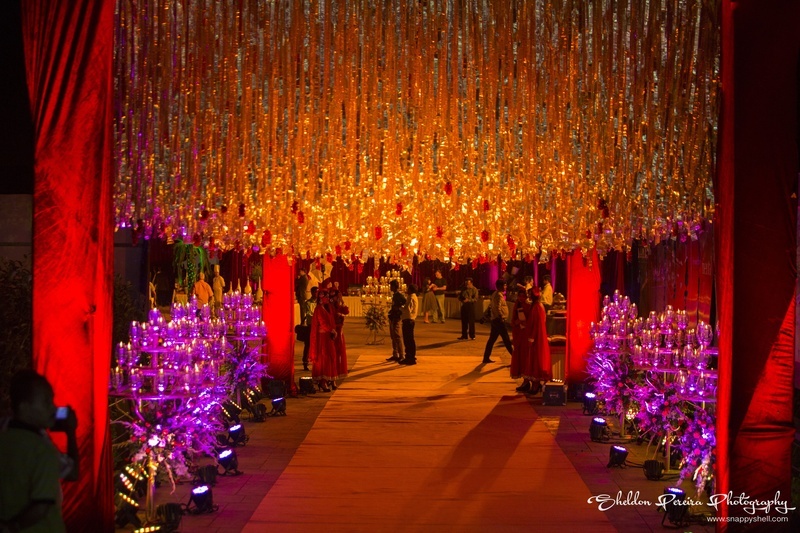 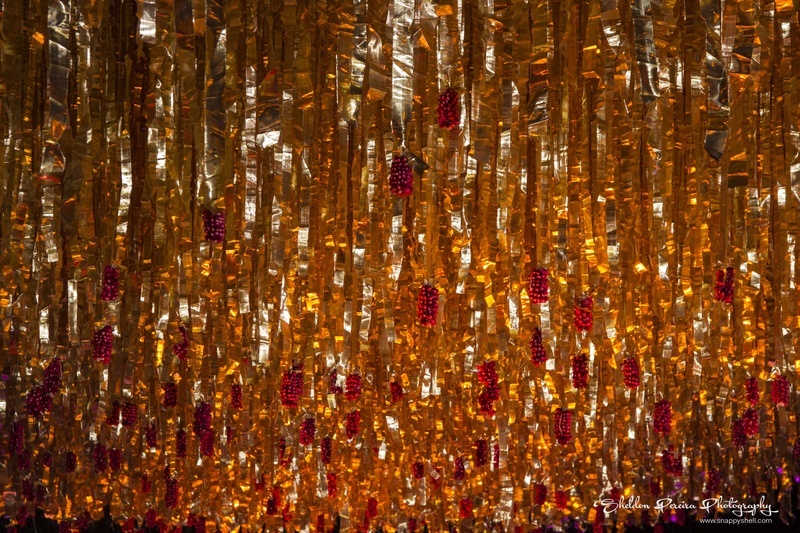 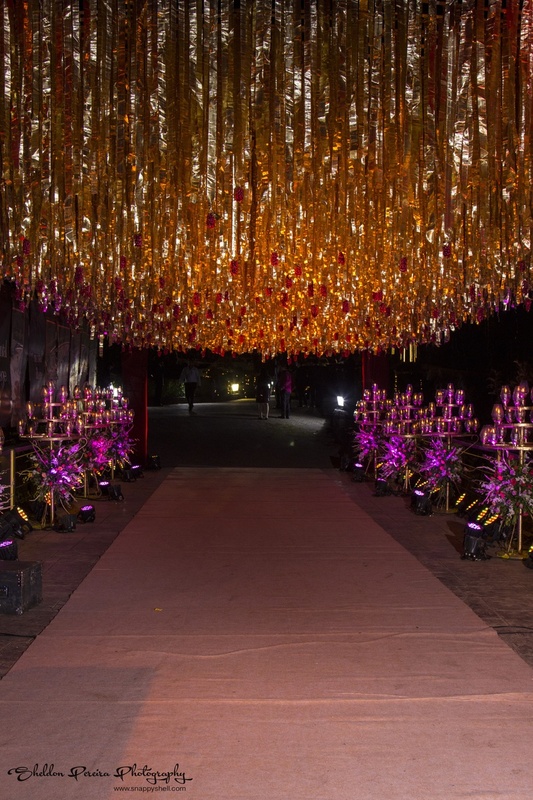 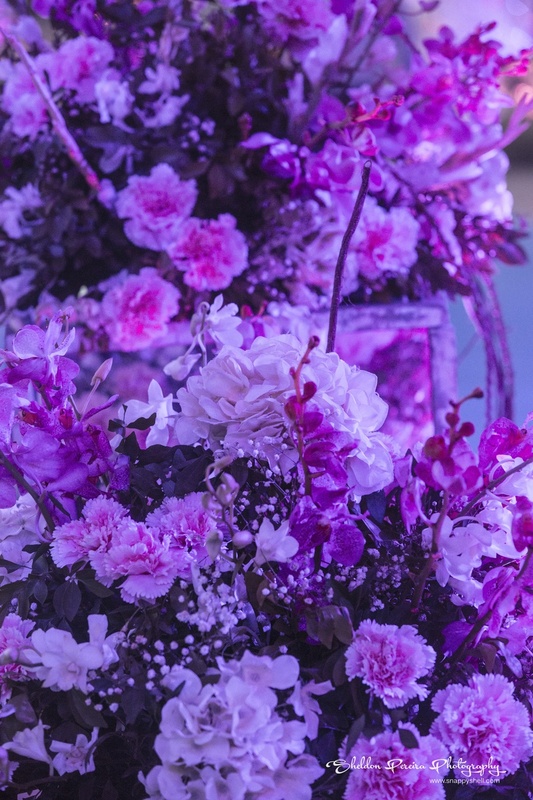 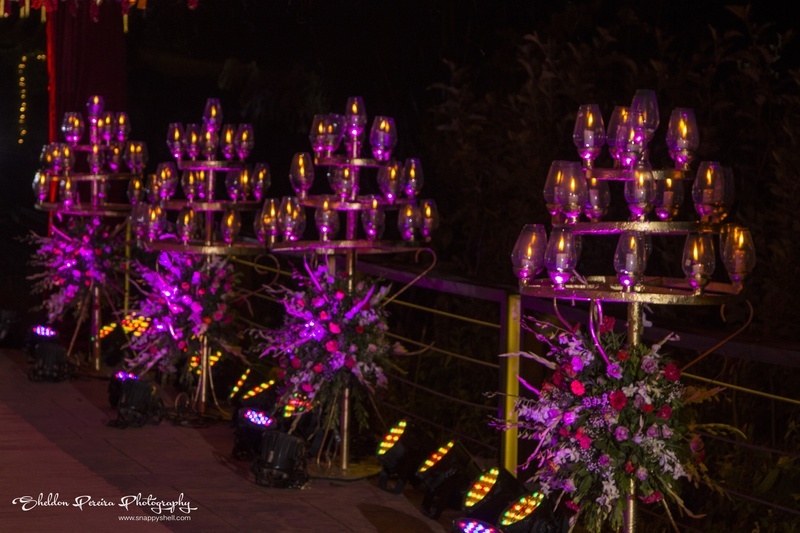 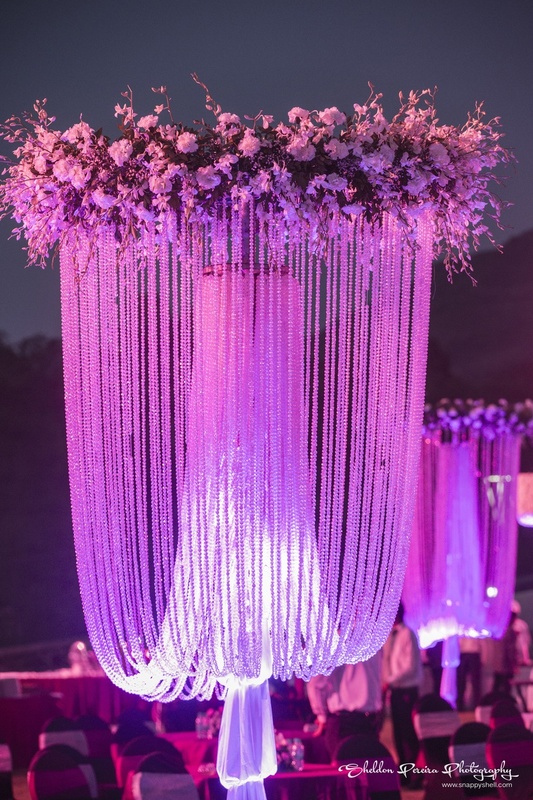 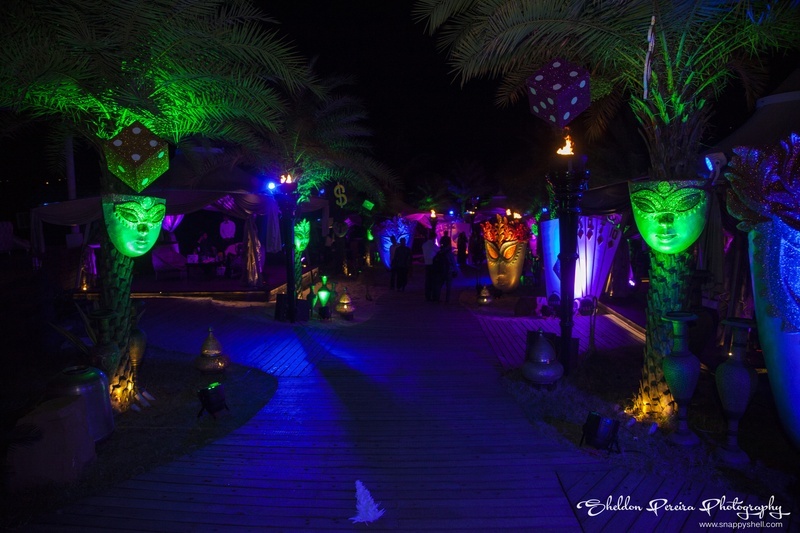 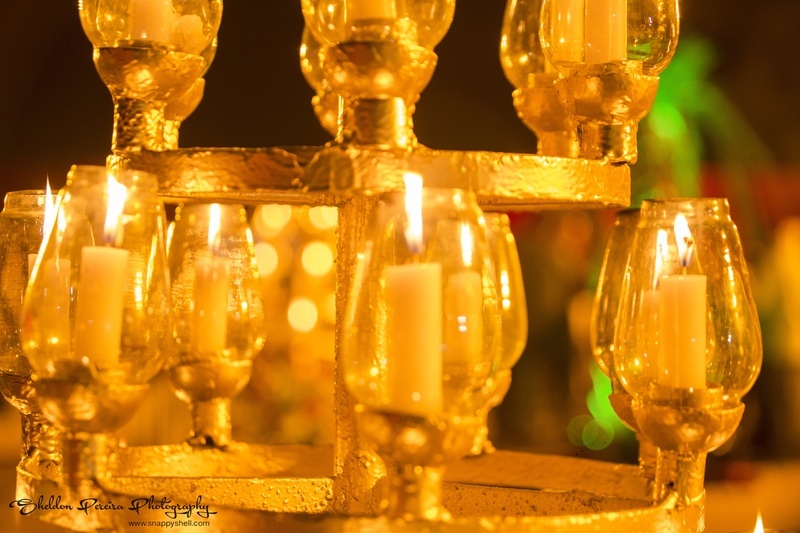 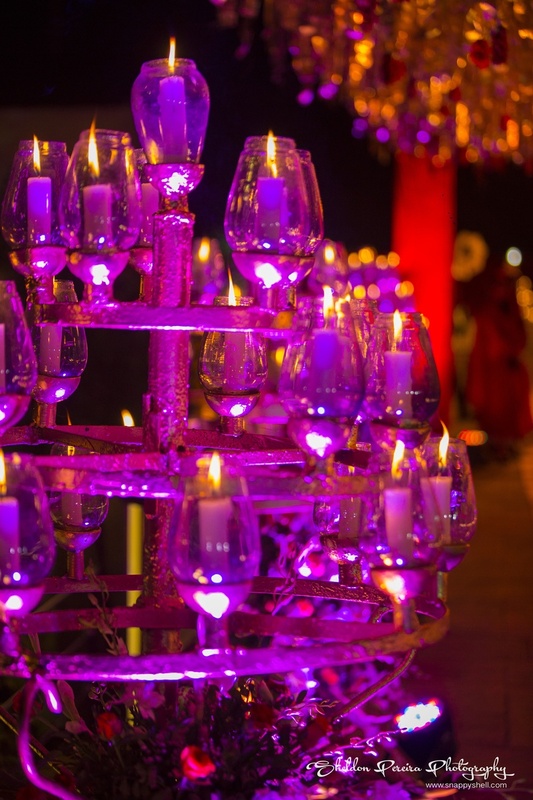 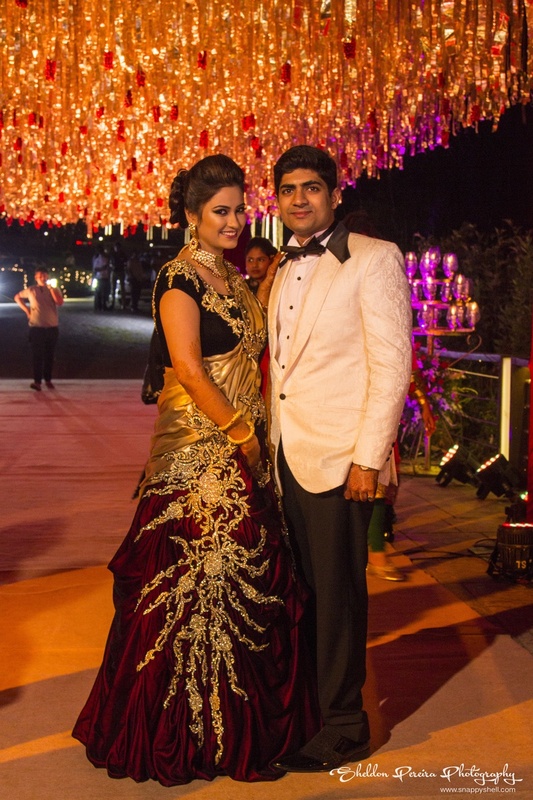 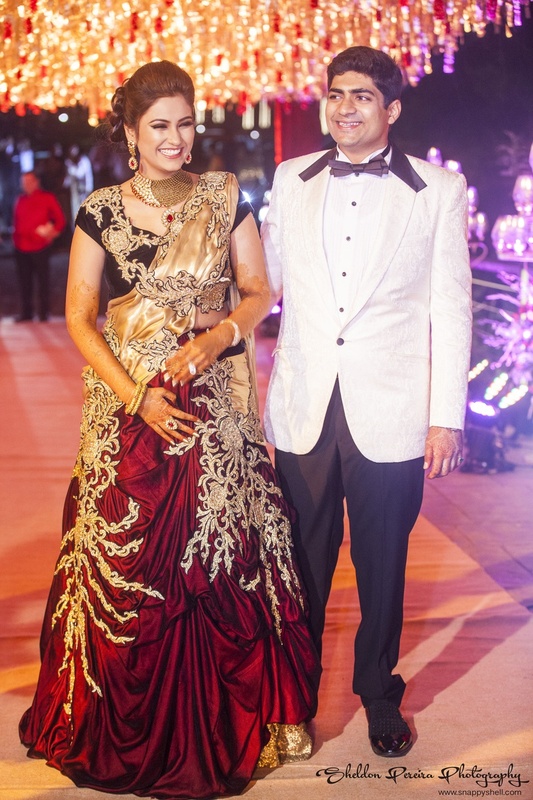 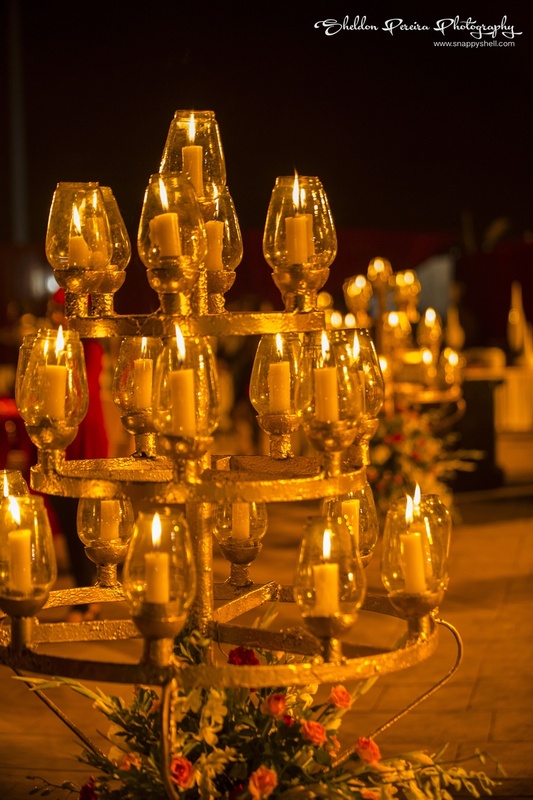 Guests were dressed to theme for the Quwwali night that had a spell bounding décor of shimmery gold ribbons, candle lanterns and peonies suspended from above. 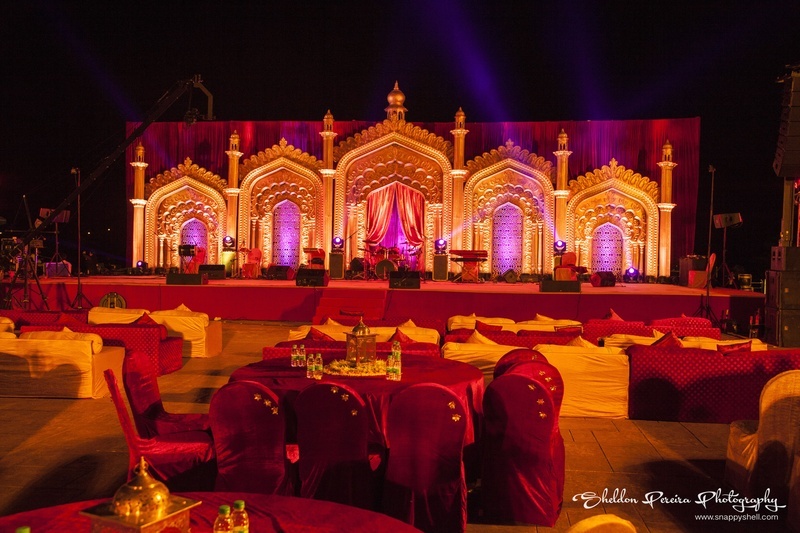 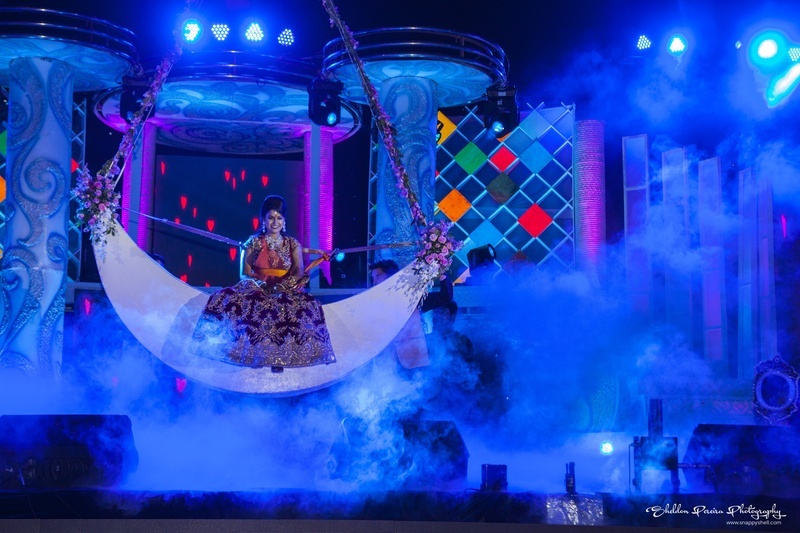 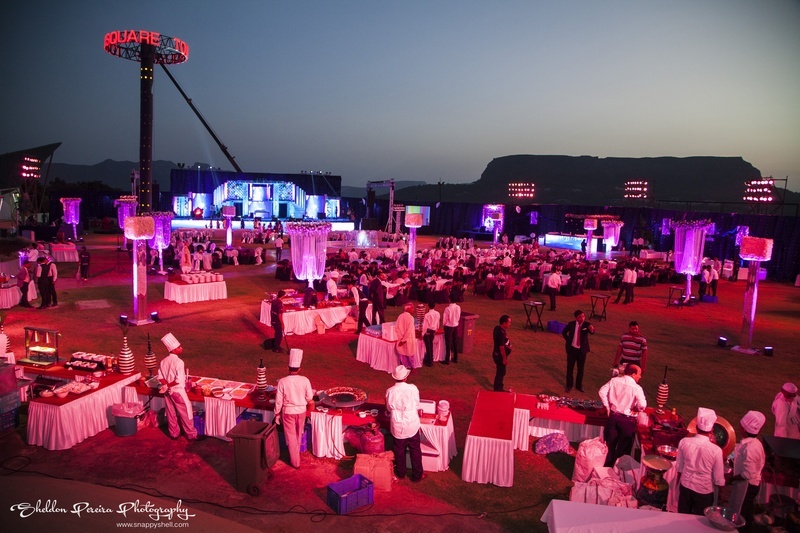 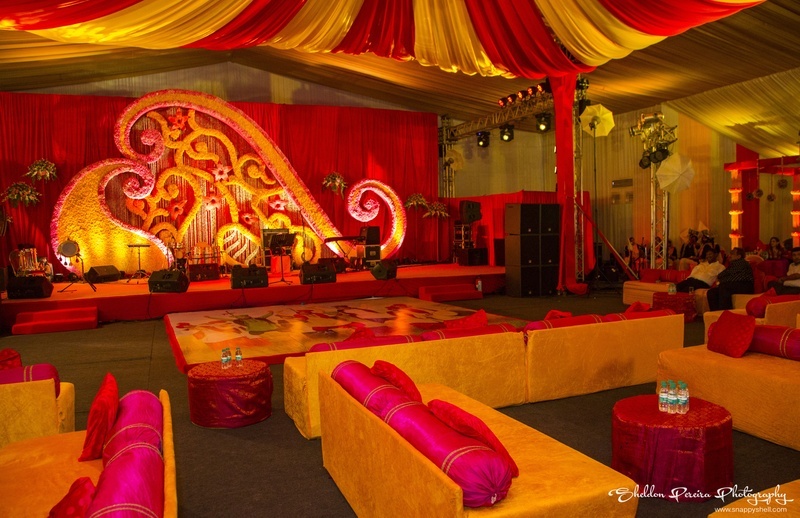 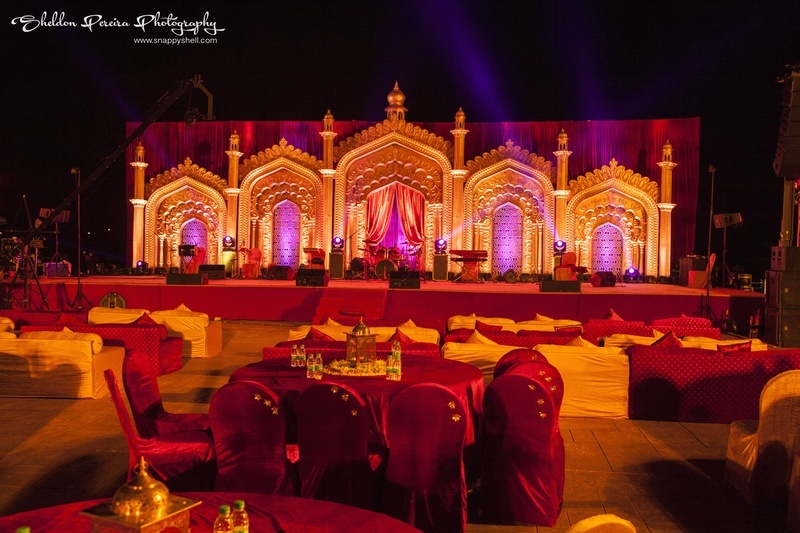 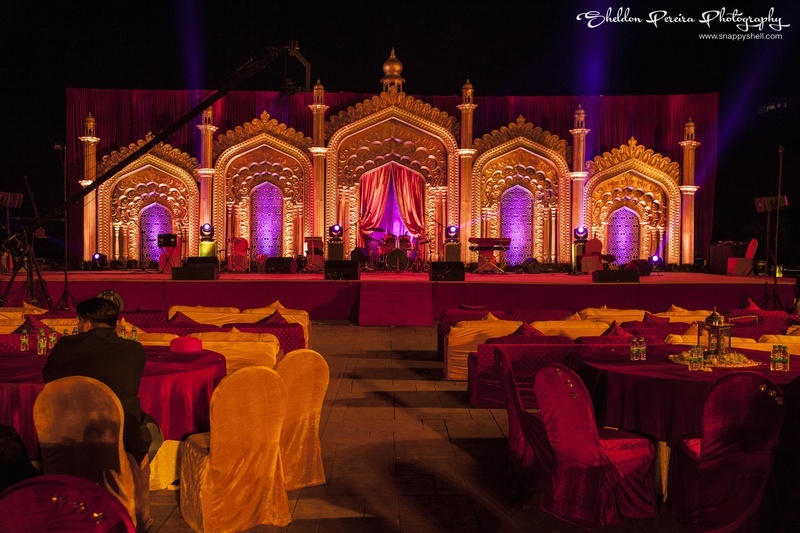 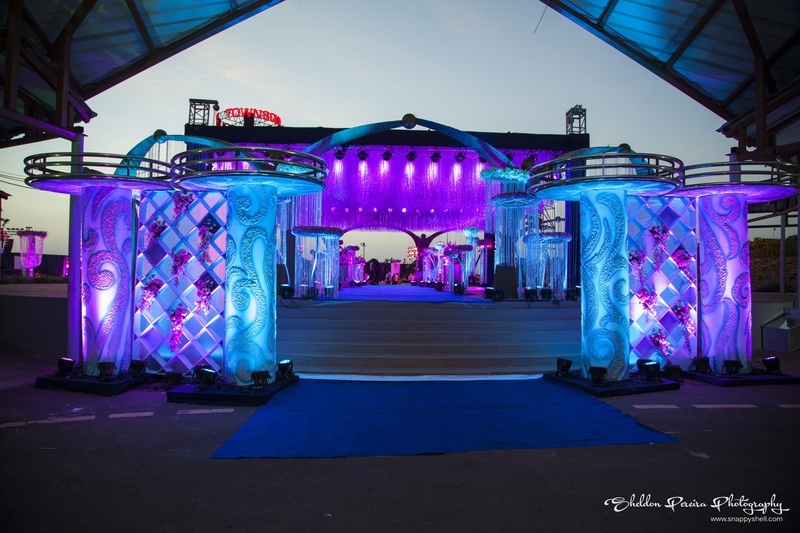 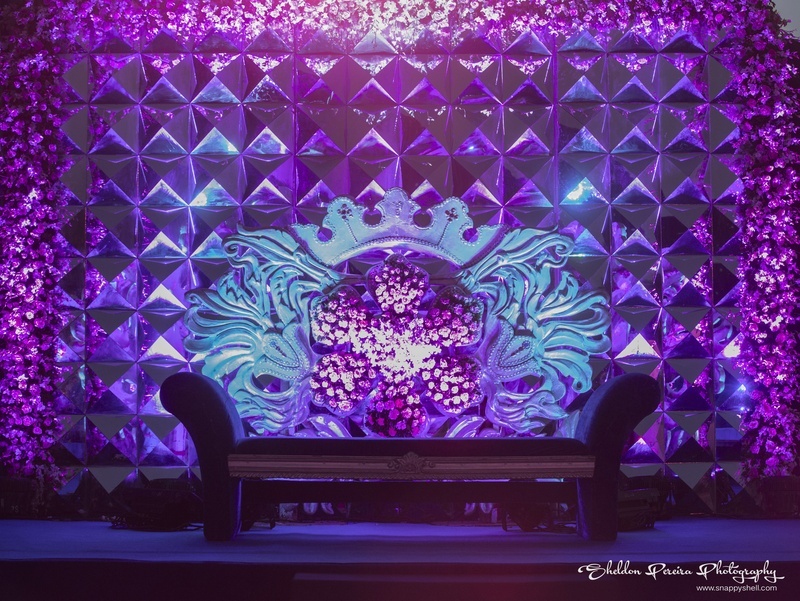 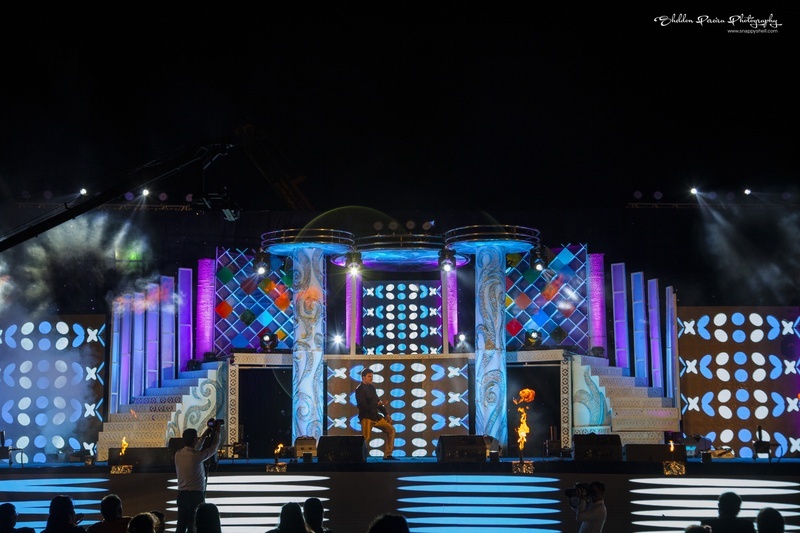 A well decorated stage was also set up for the night and had sufi performances. 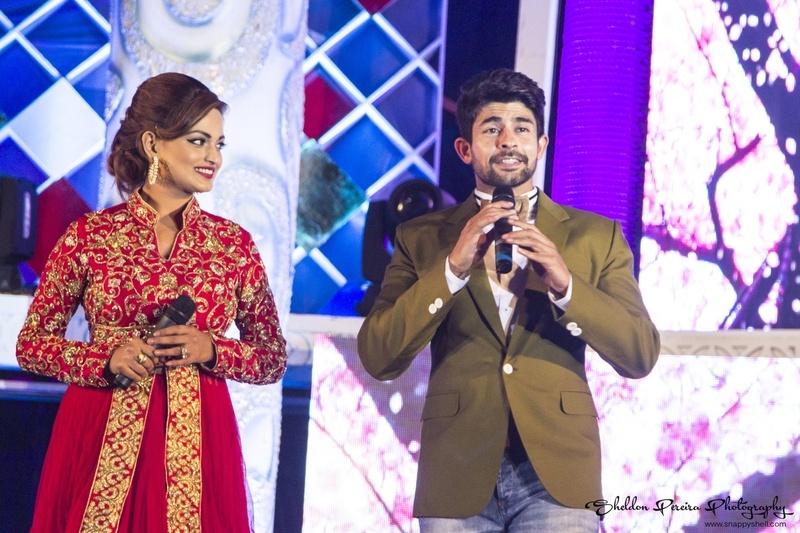 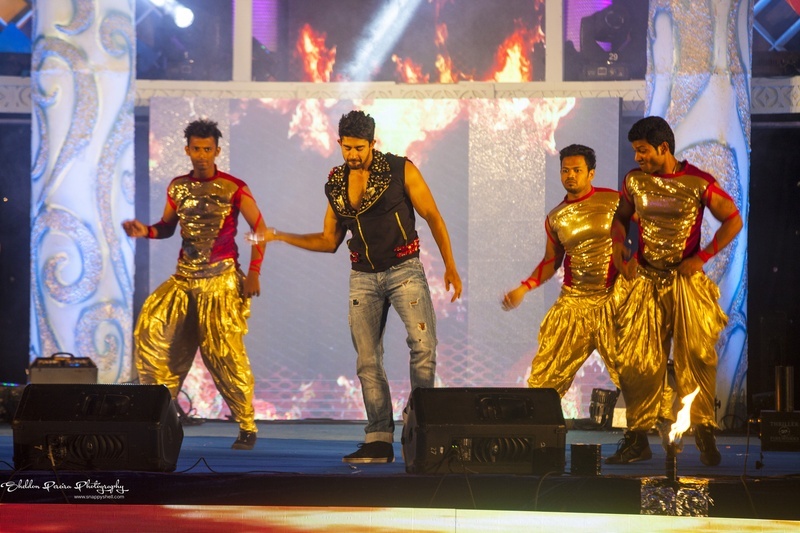 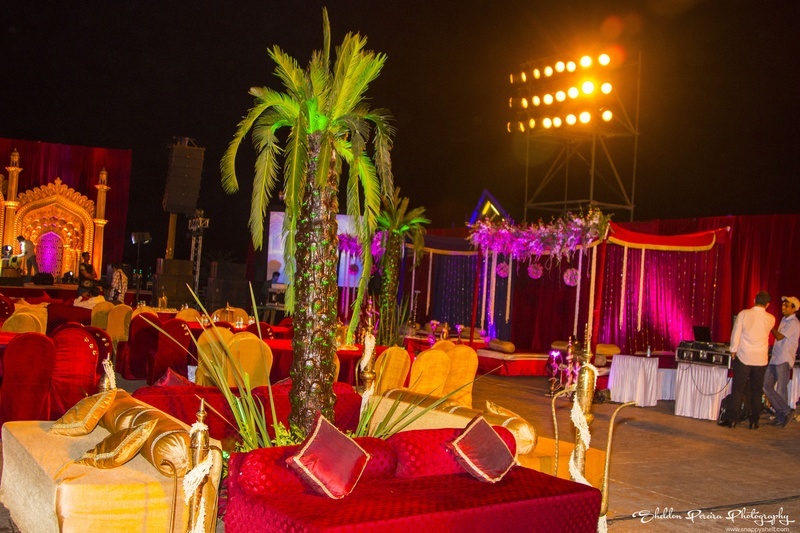 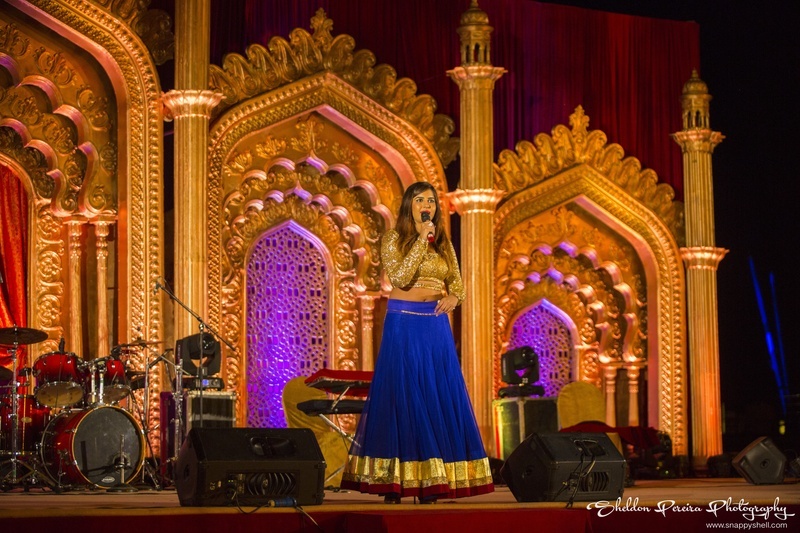 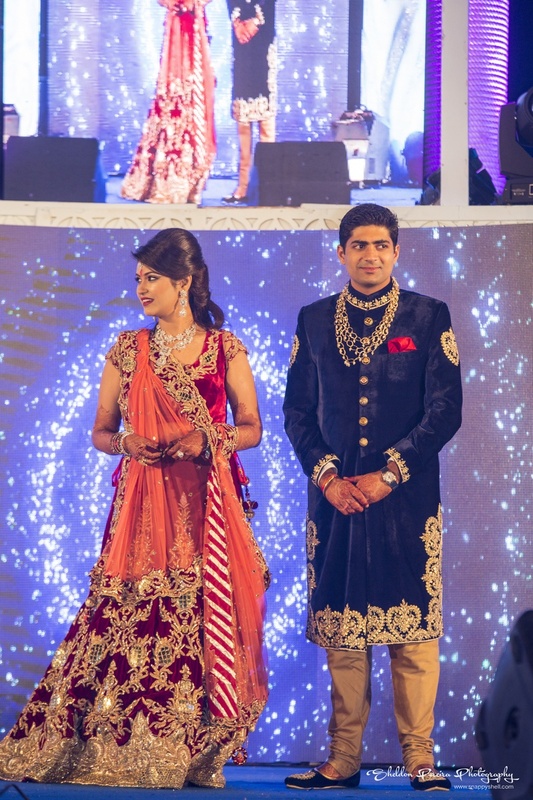 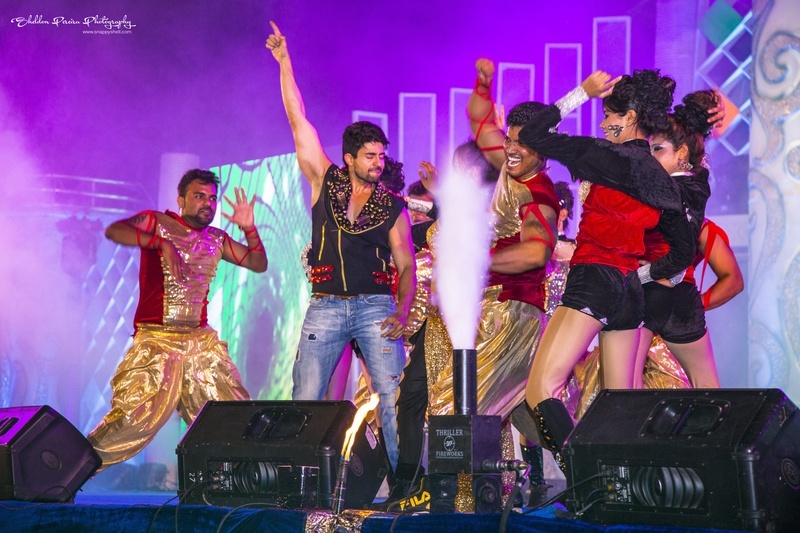 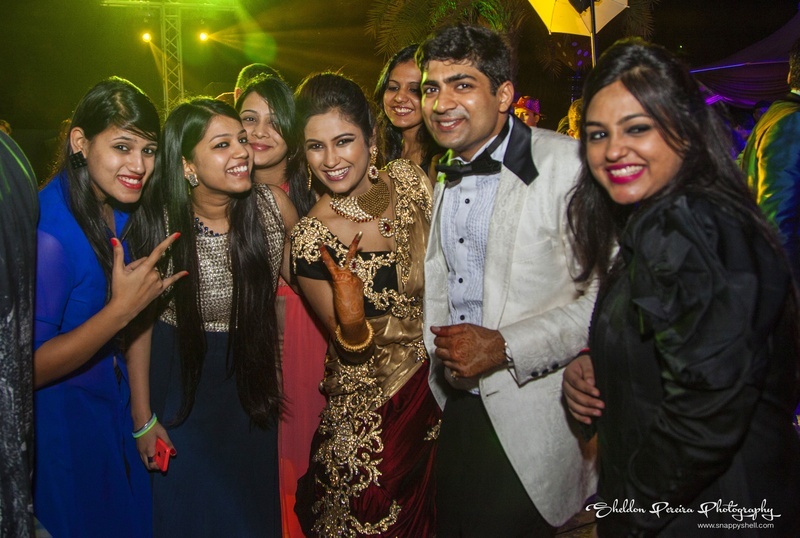 Popular TV host Hussain hosted and performed at the couple’s reception party. 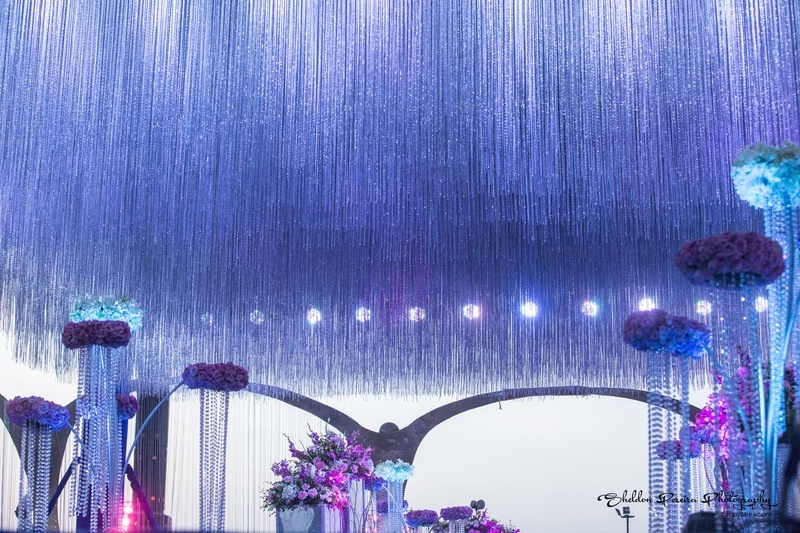 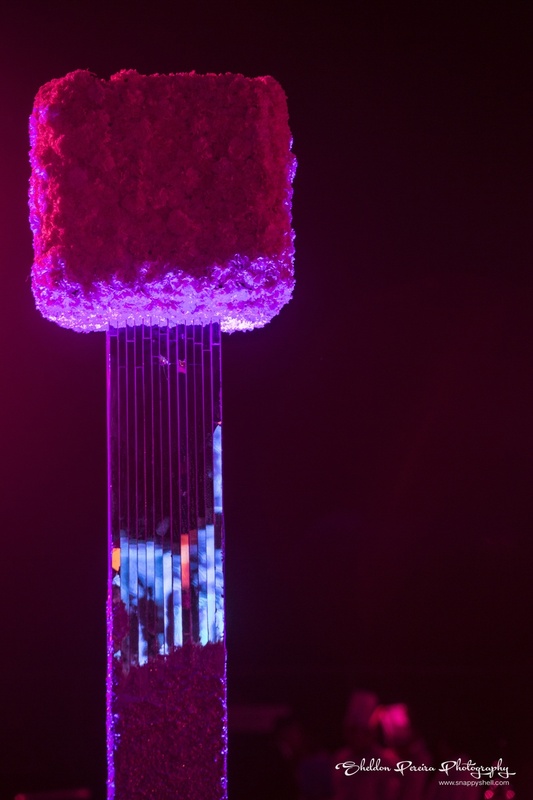 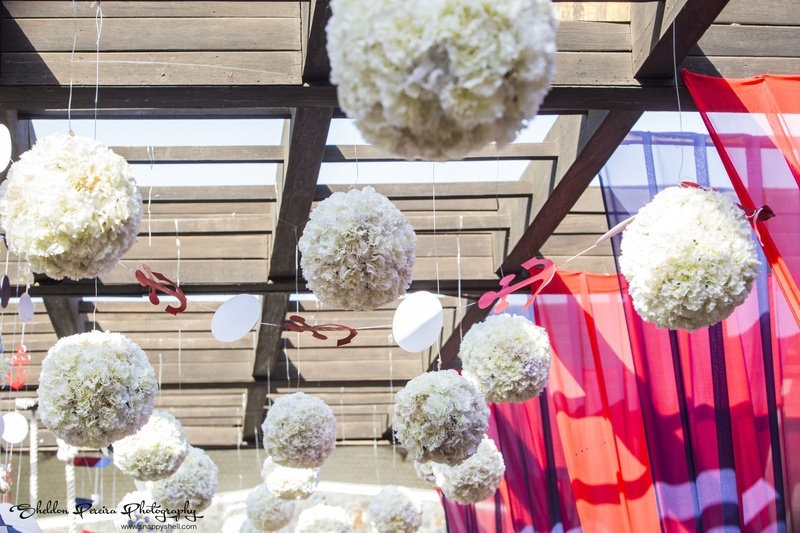 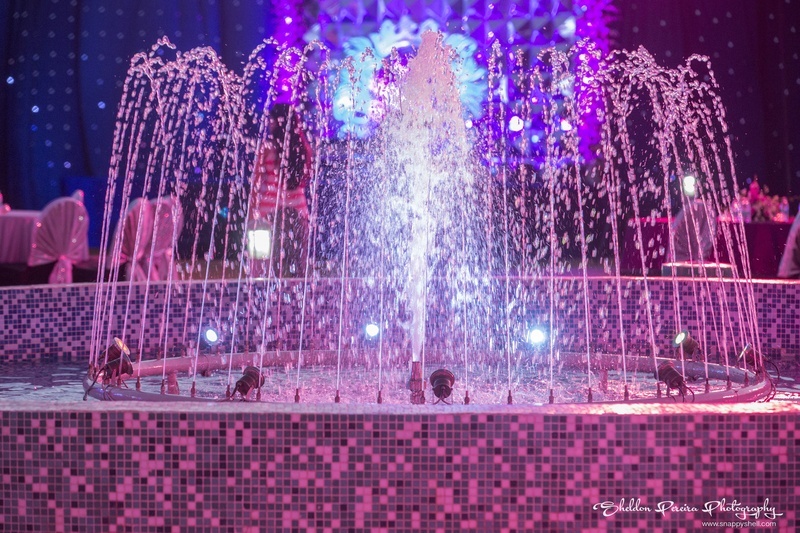 Here you witness some serious stylish décor like musical water fountains and crystal icings hanging from the top. 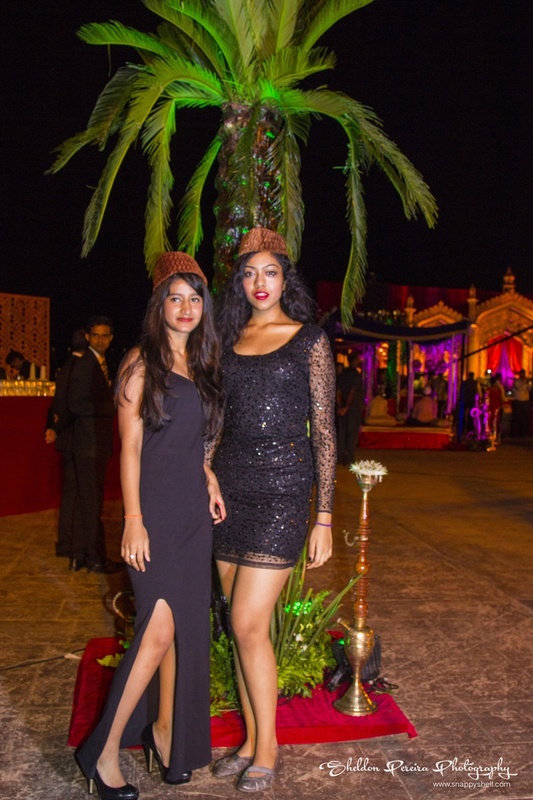 Satin side cut dress with jet black stilettos. 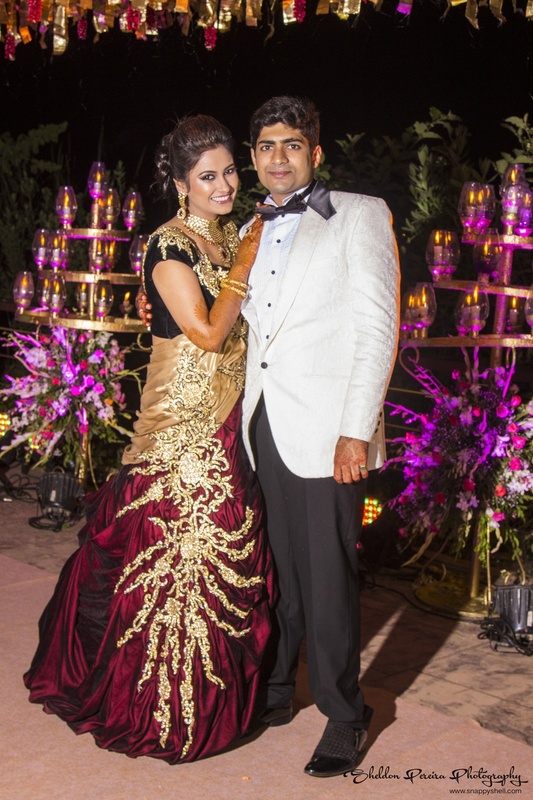 Shimmer dress with netted full sleeves.